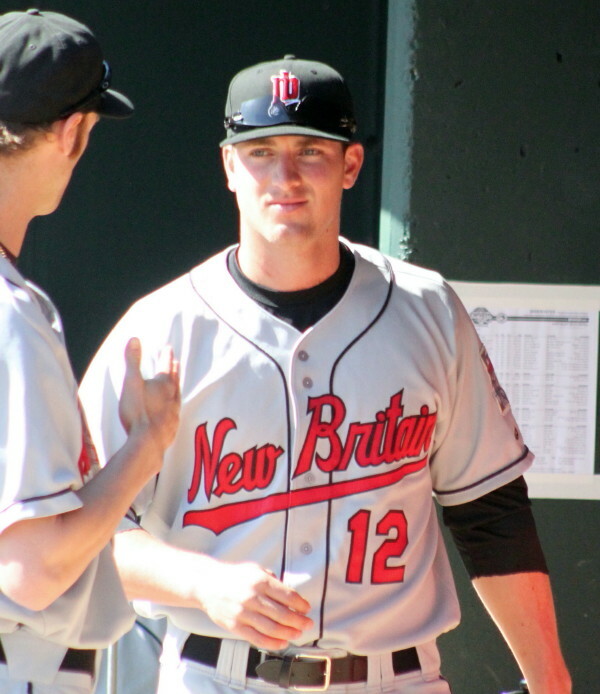 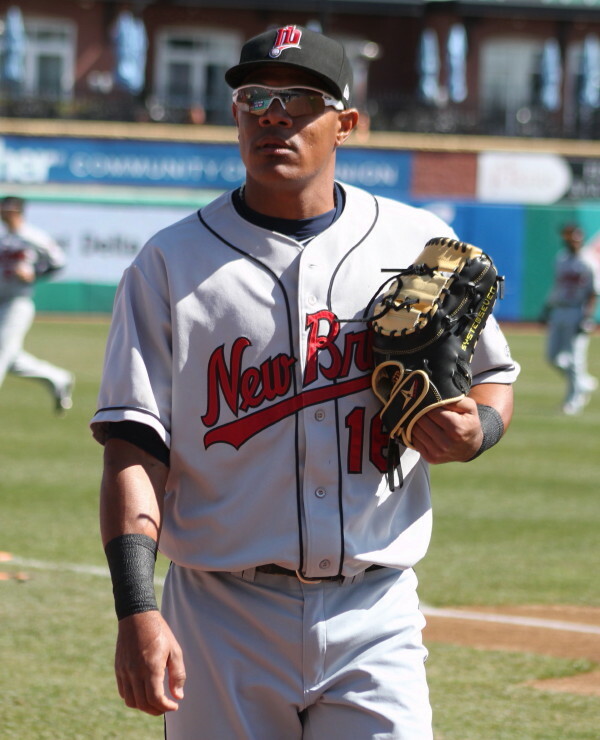 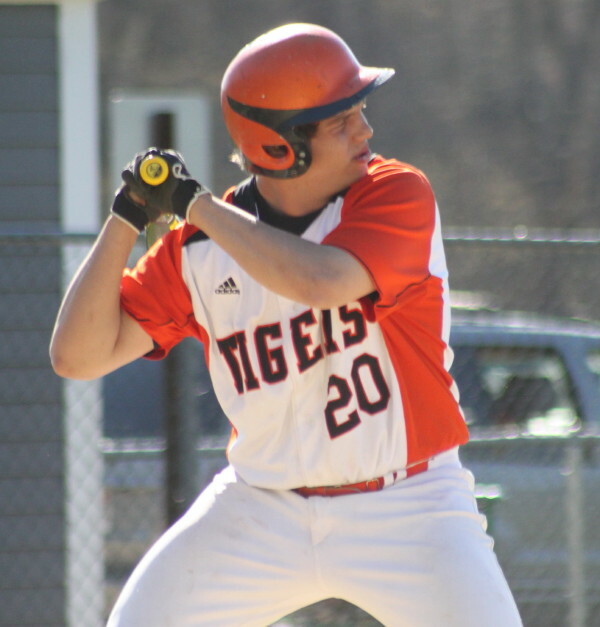 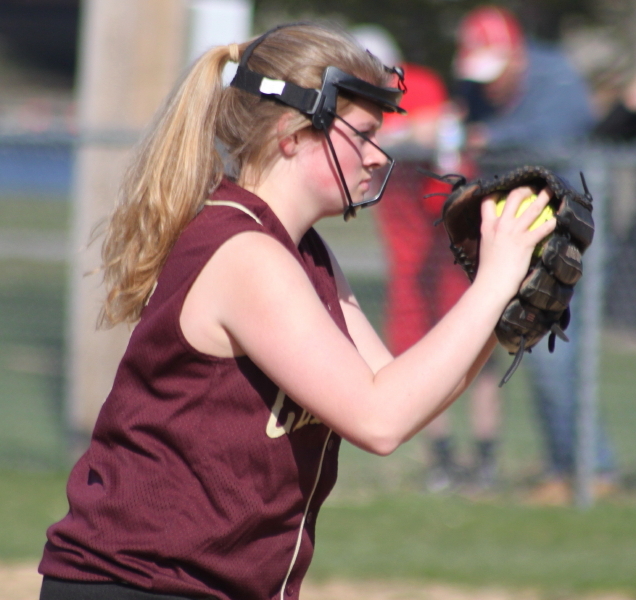 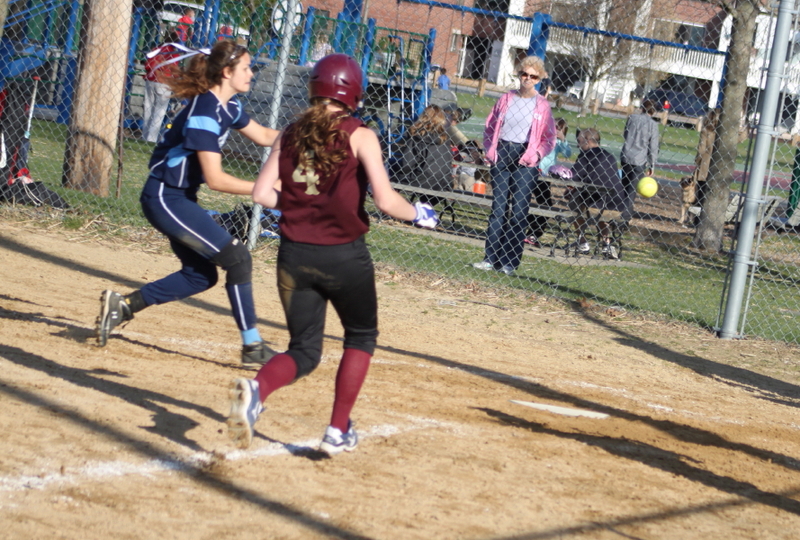 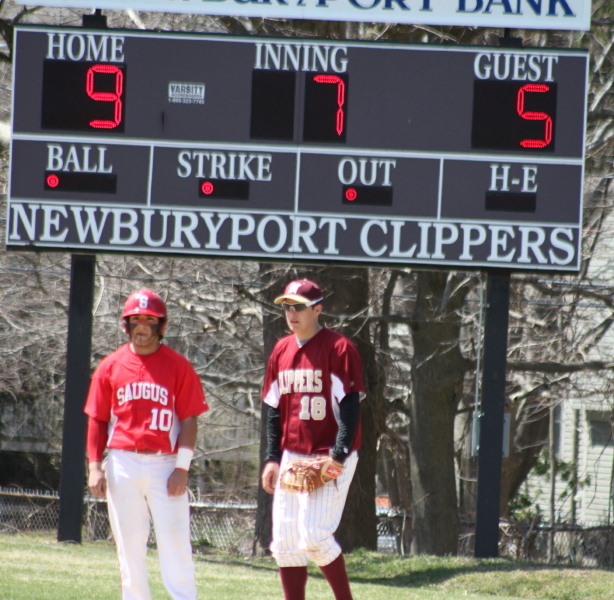 (Newburyport) Newburyport picked up its first win of the season as they defeated Saugus, 9-5, on a lovely Thursday morning in a nonleague baseball contest. 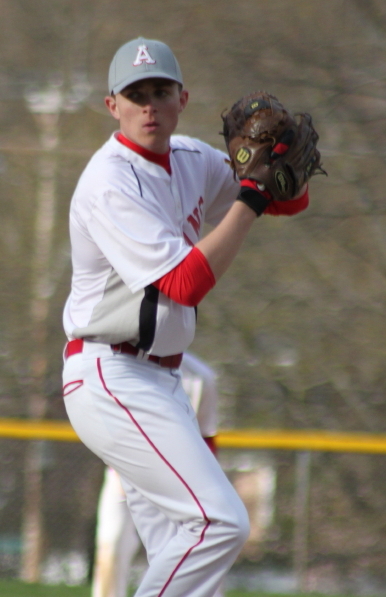 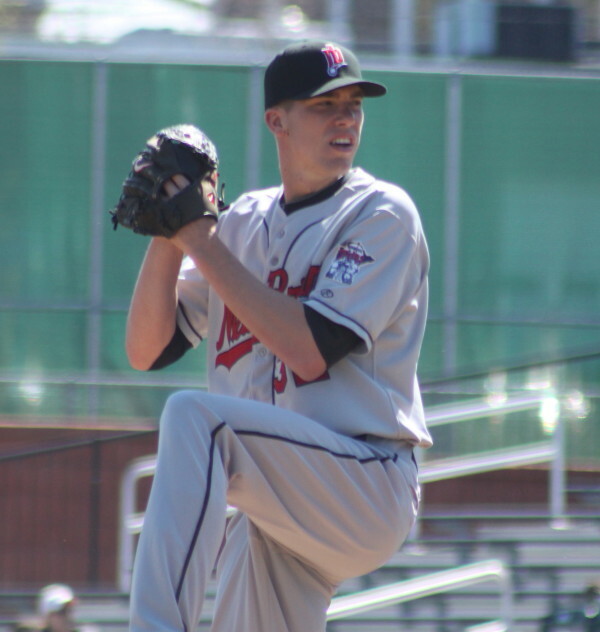 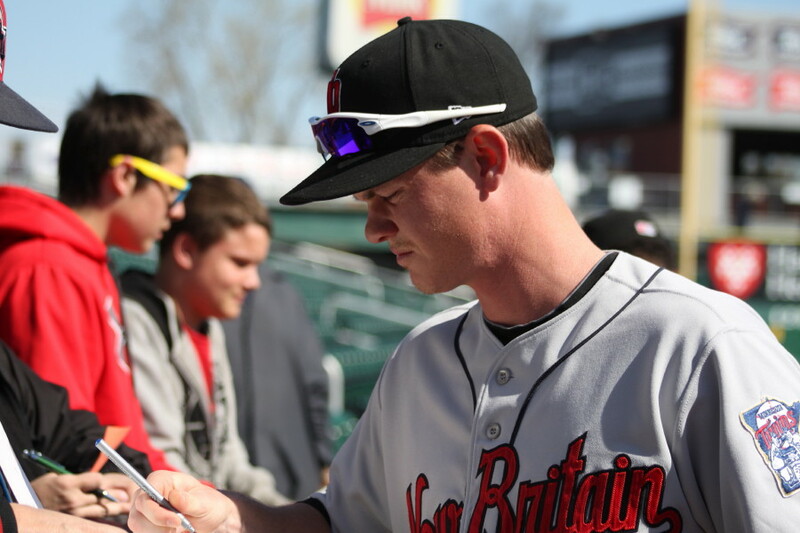 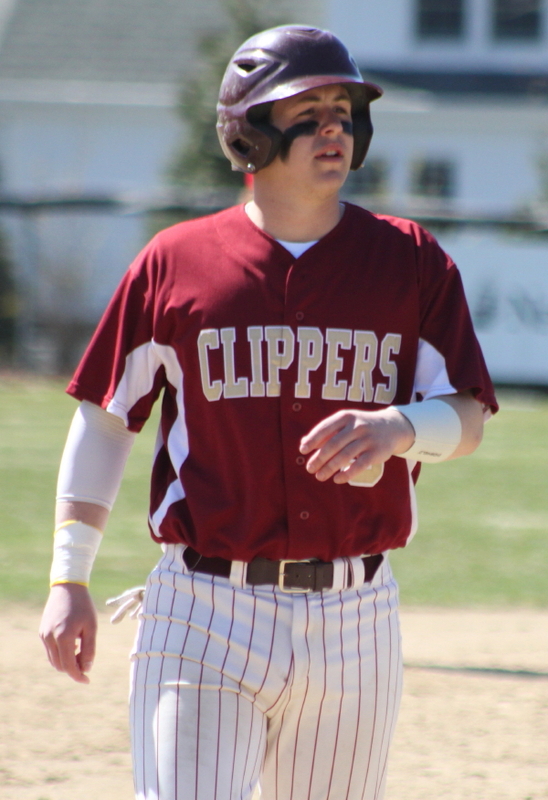 Lefty Connor MacRae went the distance for the Clippers (1-2) allowing five runs (one earned) on five hits. 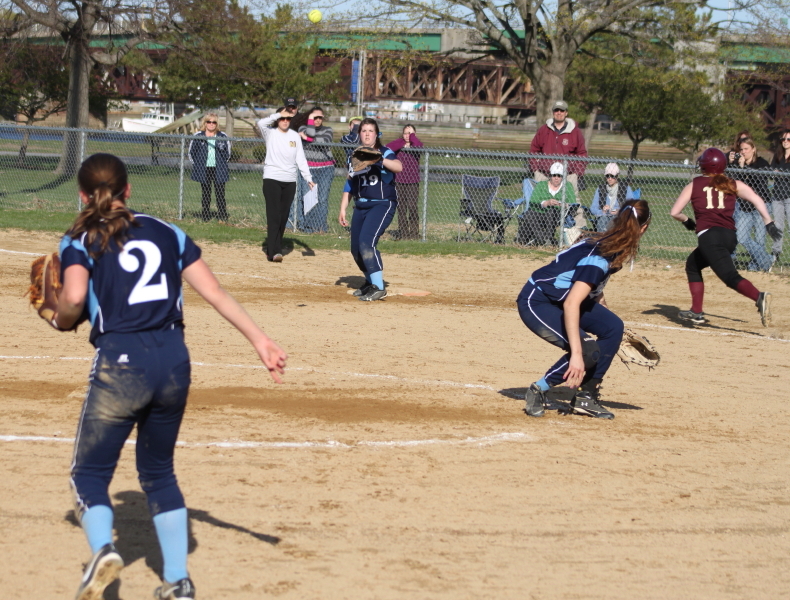 The senior K’d six. 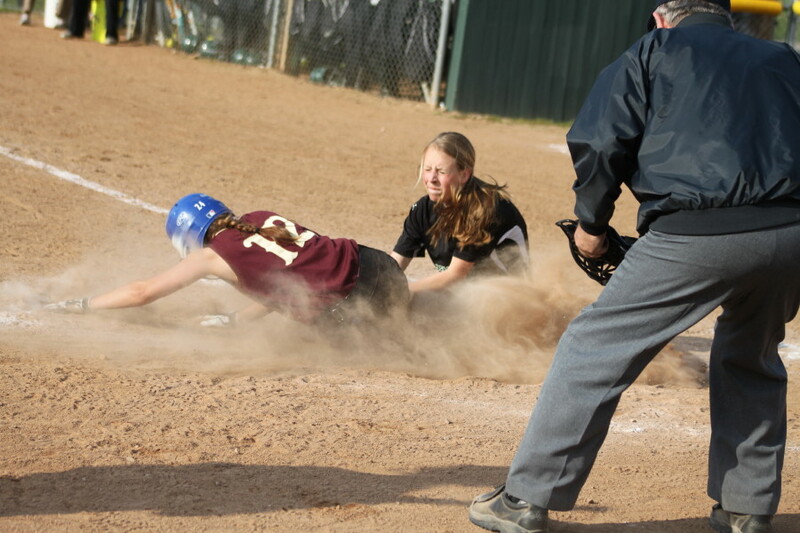 This game was a struggle for both teams in the field. 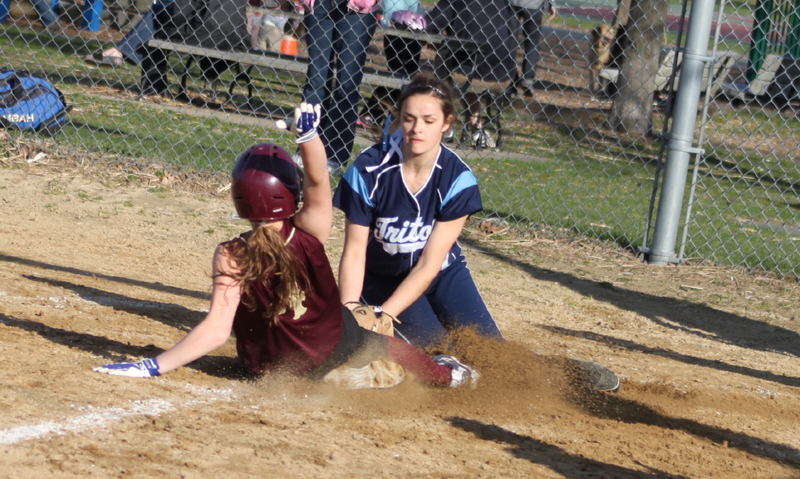 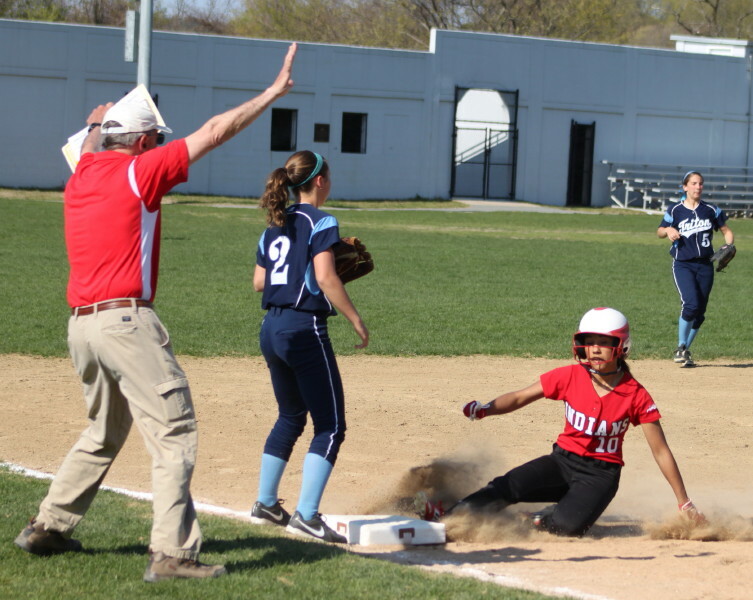 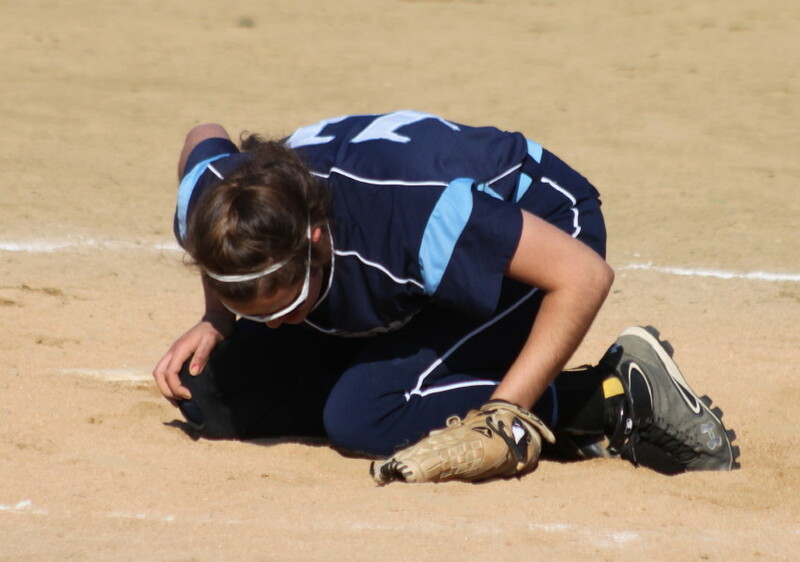 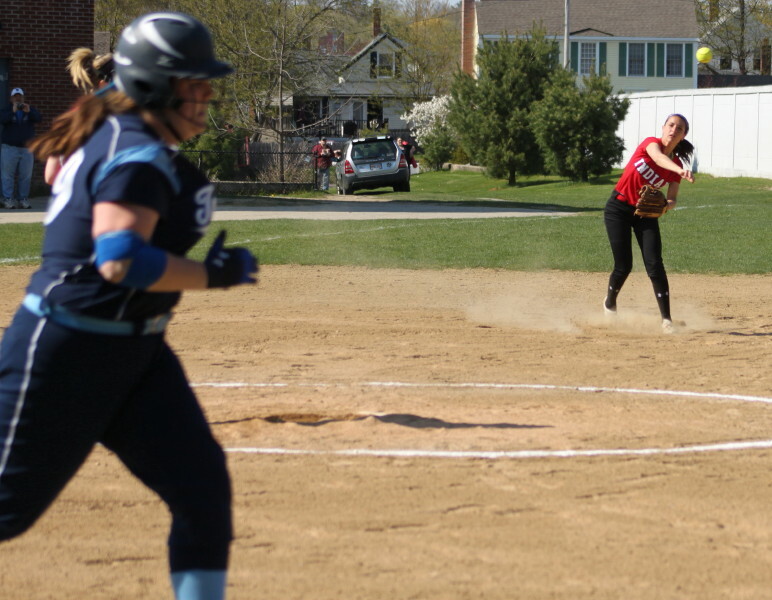 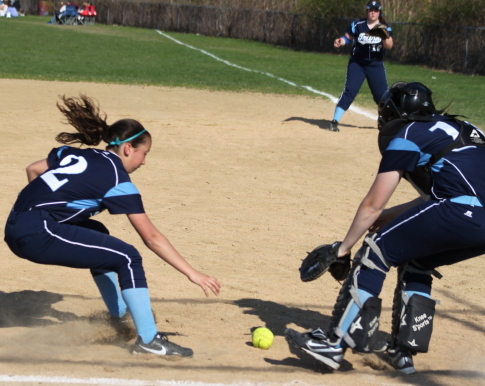 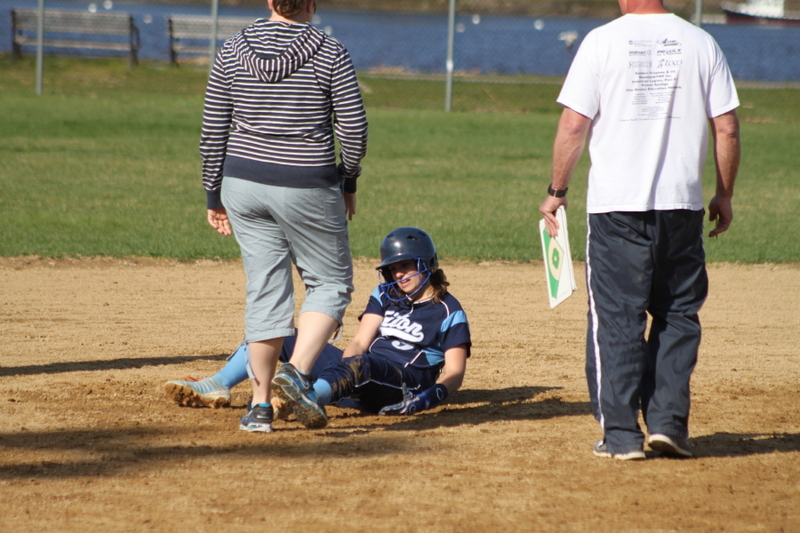 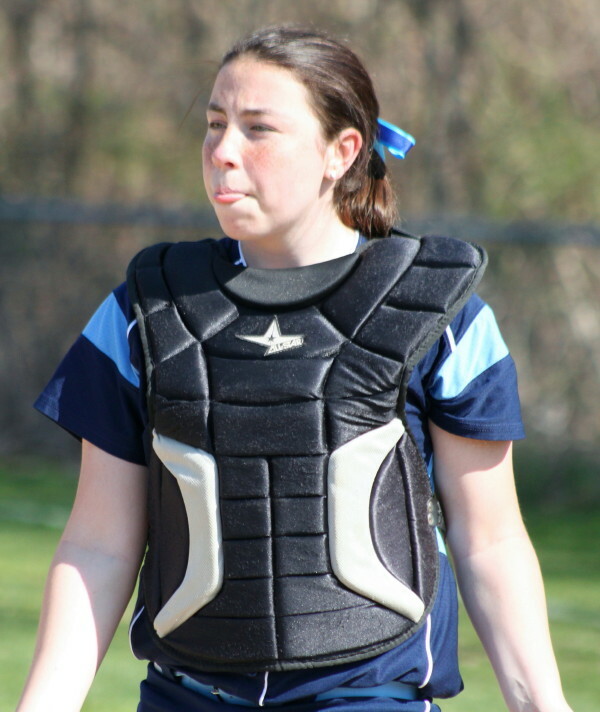 Saugus (1-3) paid heavily for their miscues in the first two innings and fell behind, 7-0. 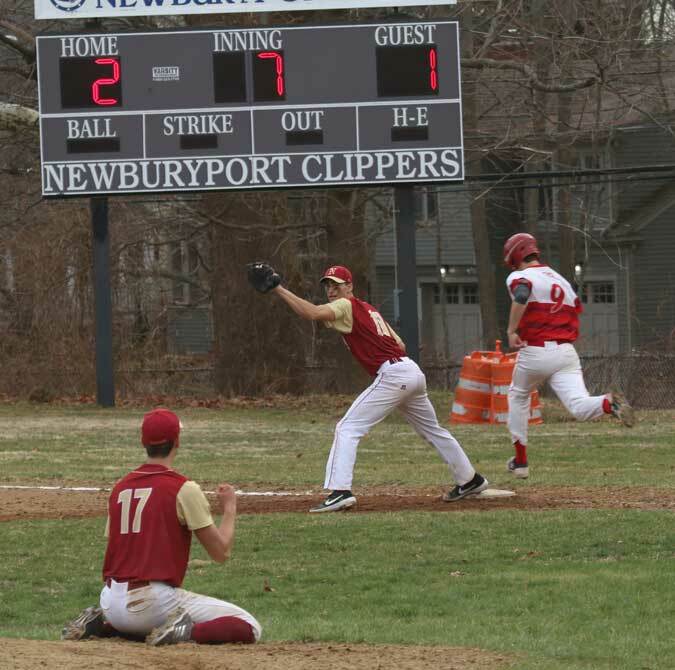 It was Newburyport’s turn late in the game to pay for their mistakes but the Clippers early advantage was too much for the Sachems to overcome. 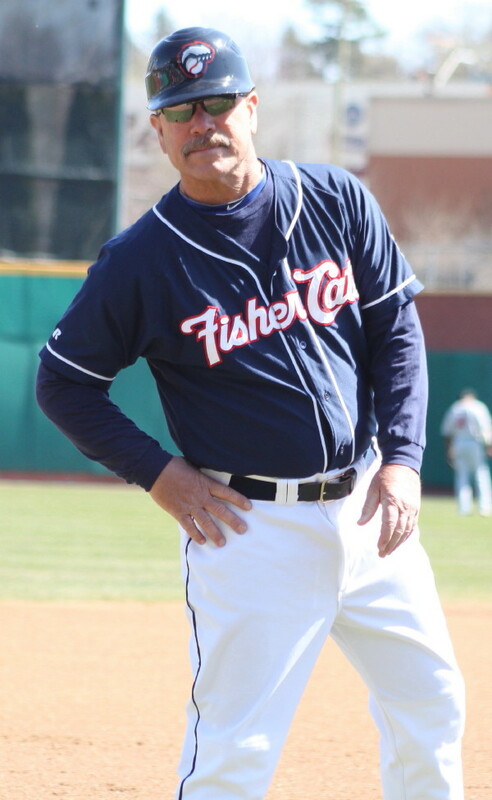 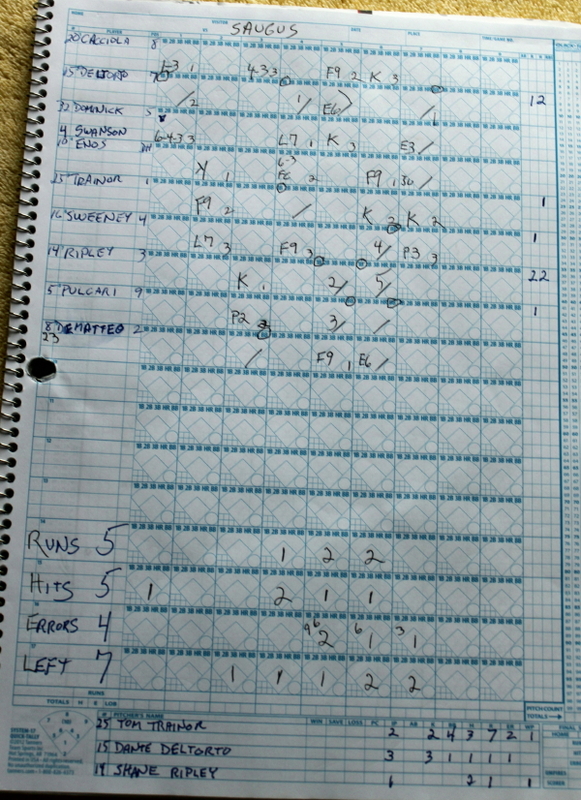 The Clippers turned a nifty 6-4-3 double play in the first inning but that was the last time “nifty” would be used to describe either team’s defense. 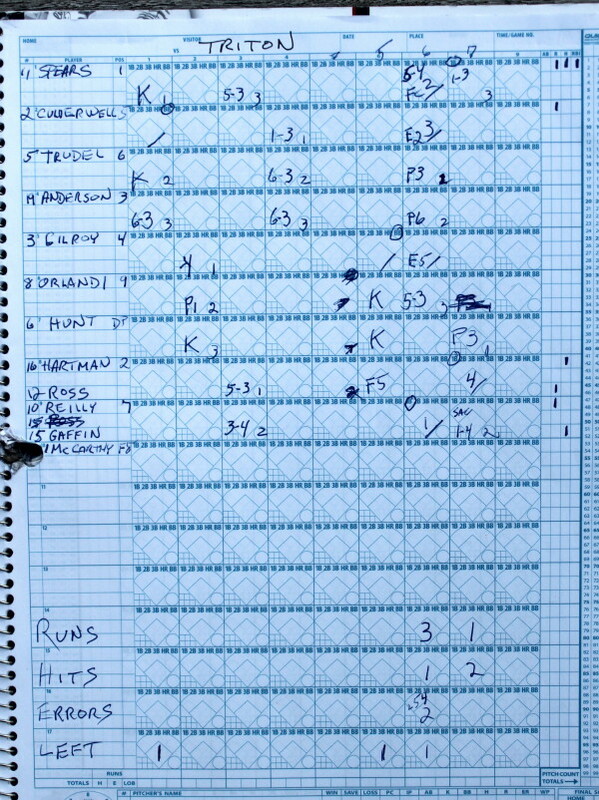 Both teams had four errors and they were the costly kind. 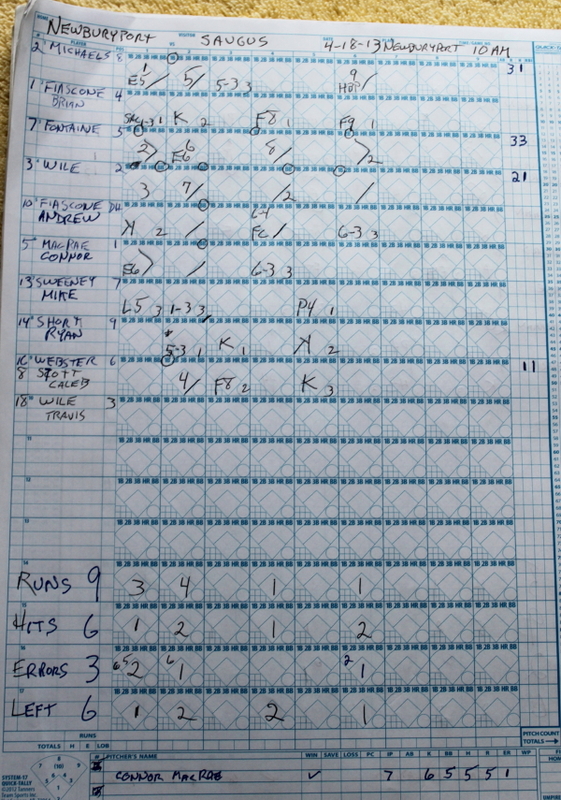 Of the fourteen runs scored, four of them were earned by my figuring. 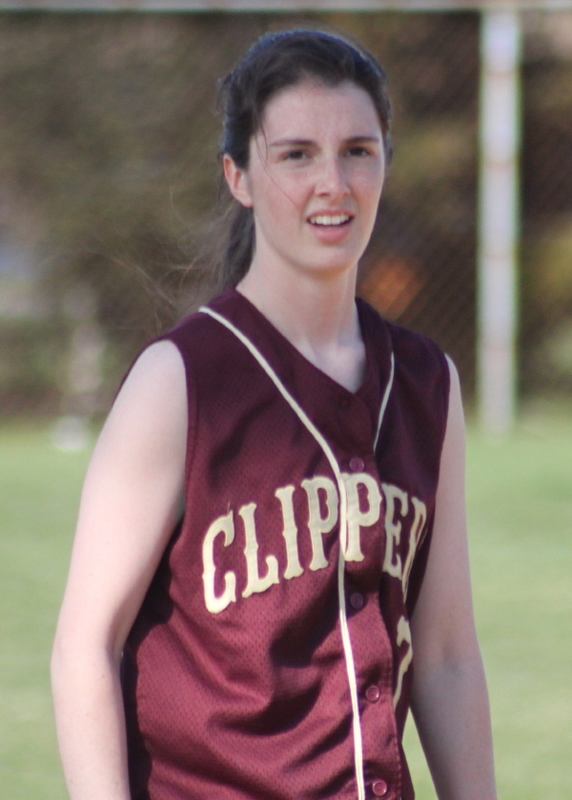 Equally stunning (shocking?) 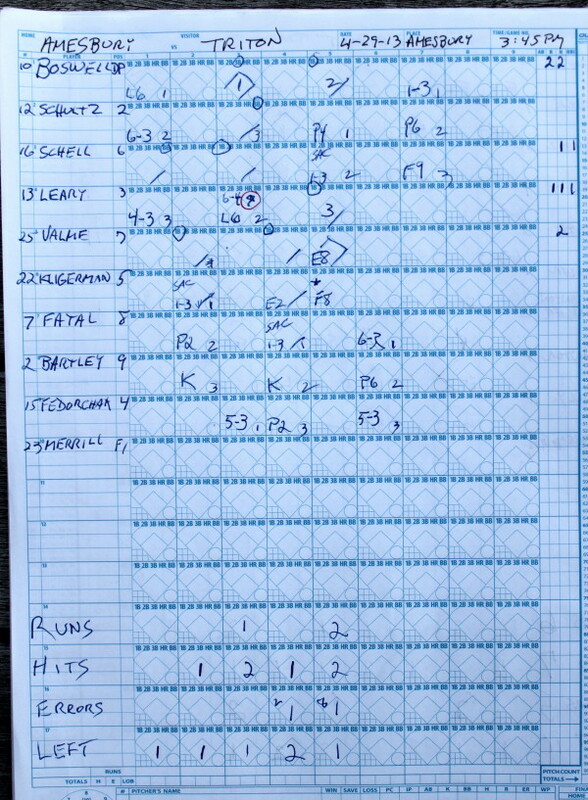 was the total inability of either team to throw out runners attempting to steal second. 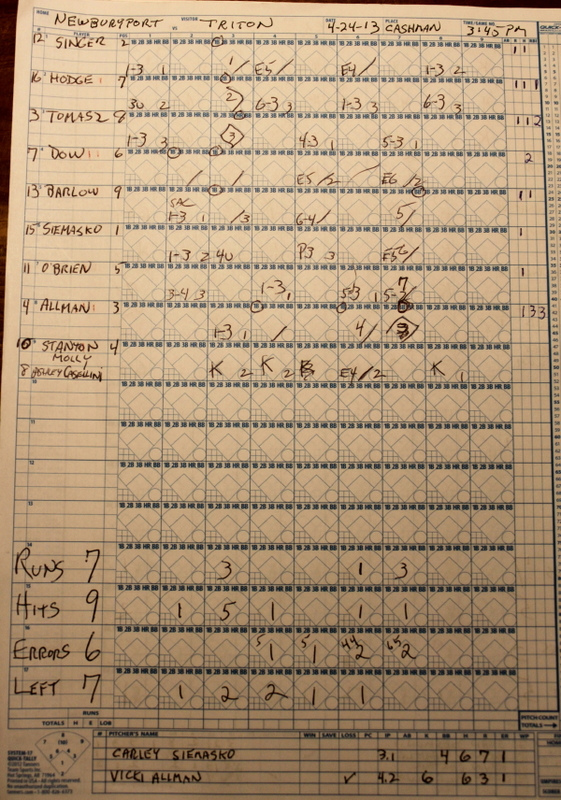 Again, by my unofficial count, eleven runners were able to make that first-to-second move and there was never a close play! 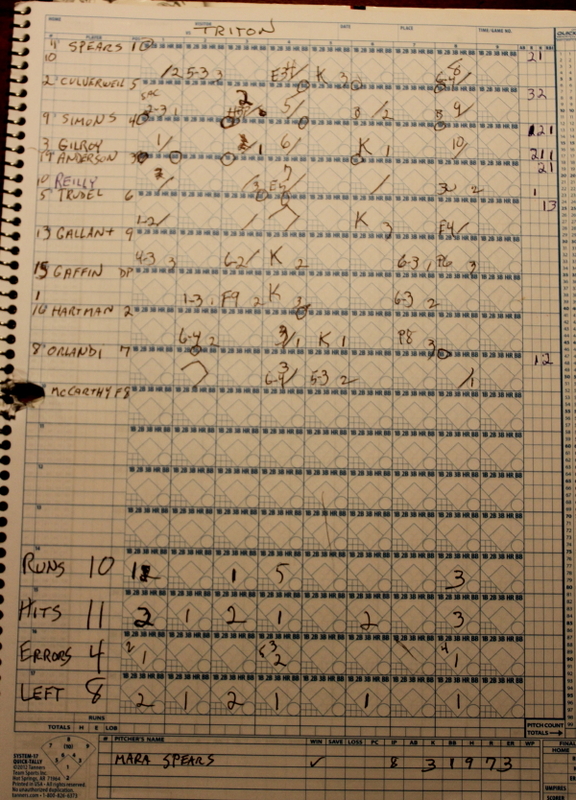 There were also walks (five for each team) and several wild pitches. 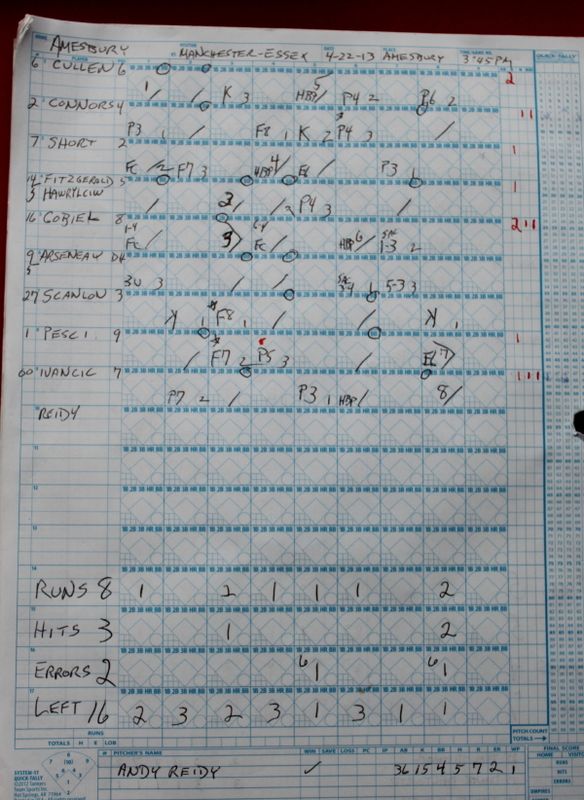 You get the point: there were plenty of lowlights but for the home team it was Win #1 of the young 2012-13 season with plenty of games left to get better. 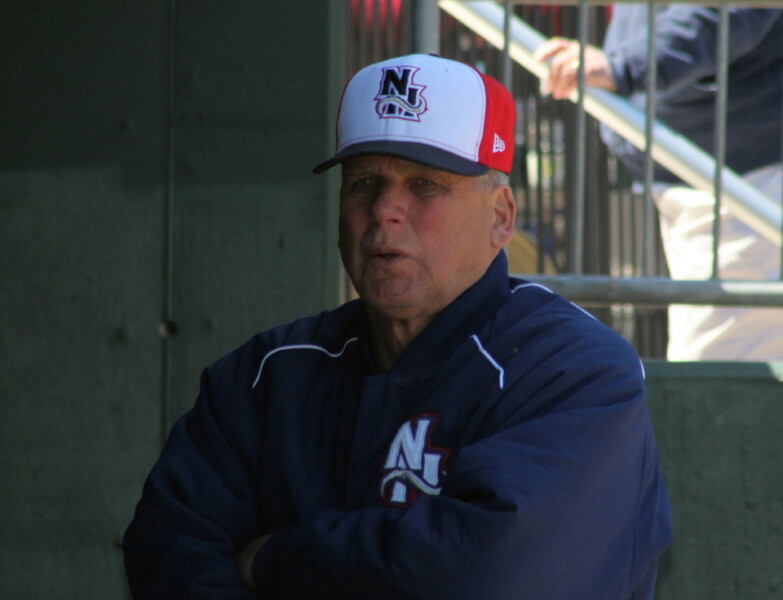 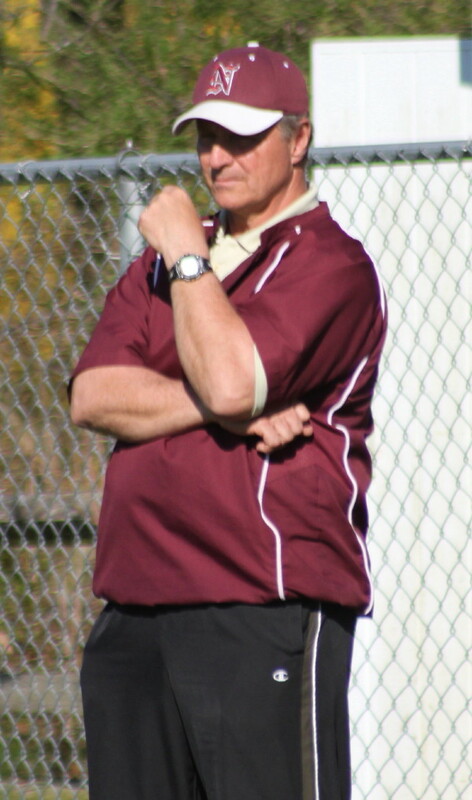 Tom Trainor pitched the first two innings for Saugus when Newburyport built a 7-0 margin. 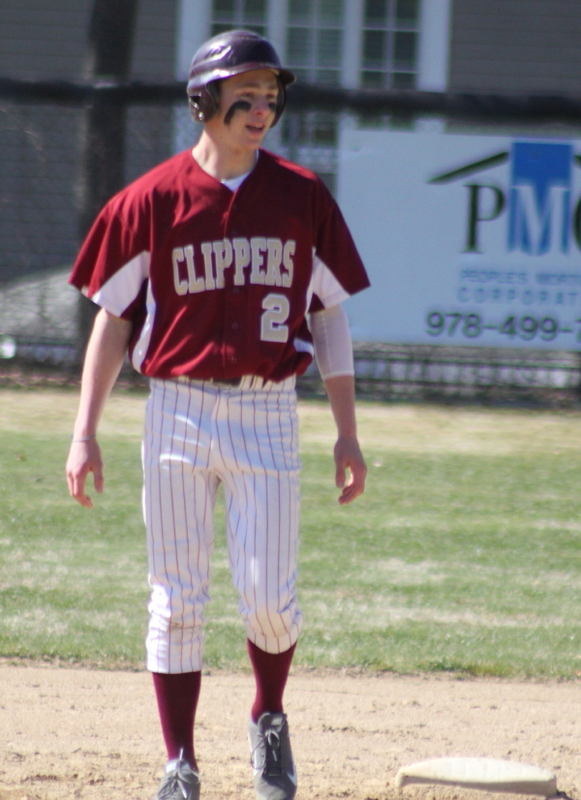 Shortstop John Prentice had two-out boots in both innings that accounted for three of the Clippers runs. 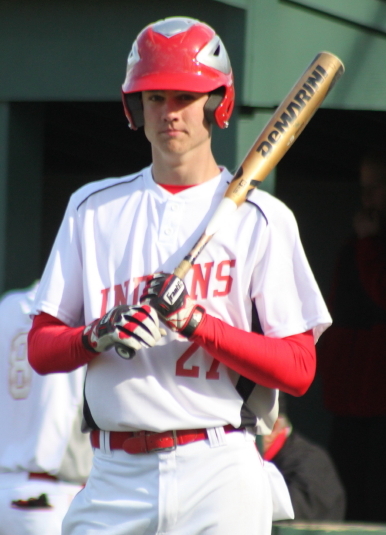 Colton Fontaine reached the leftfield fence in the first inning driving home teammate Ian Michaels with the first NHS score. 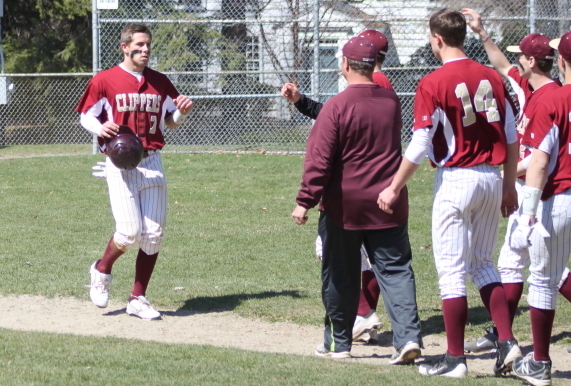 Later in the second inning Tom Trainor walked in two runs and tossed a wild pitch to allow yet another Newburyport tally. 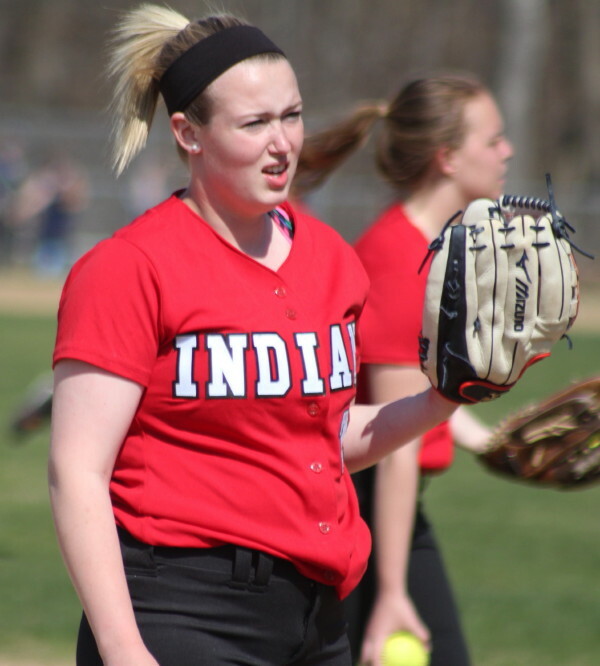 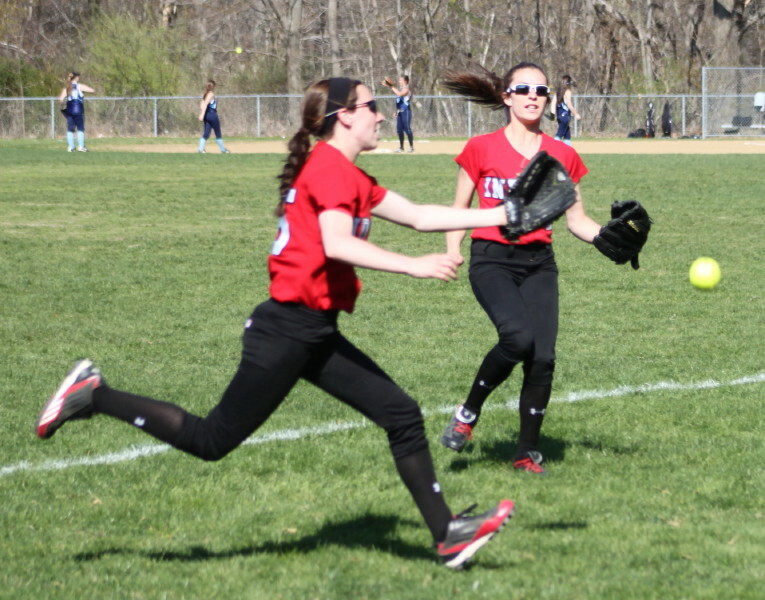 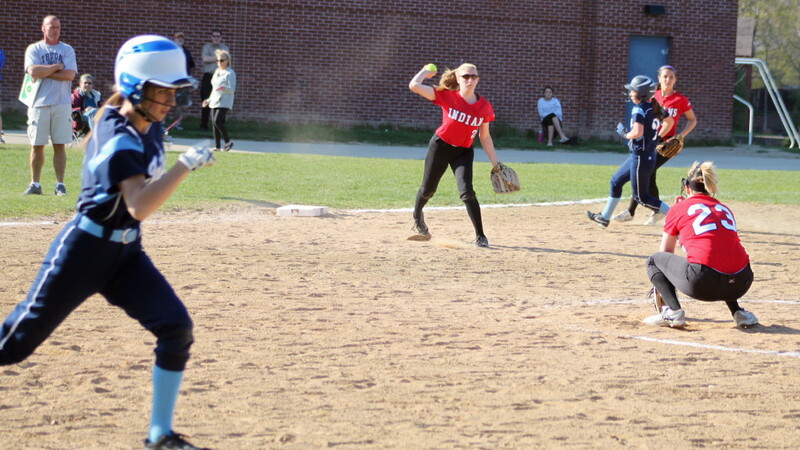 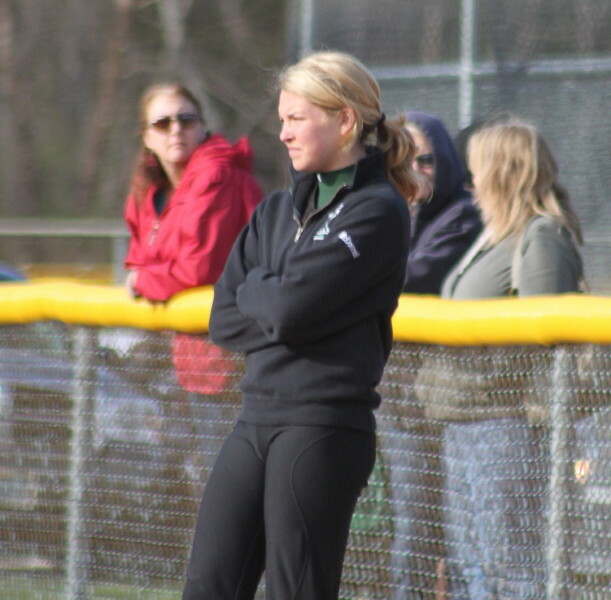 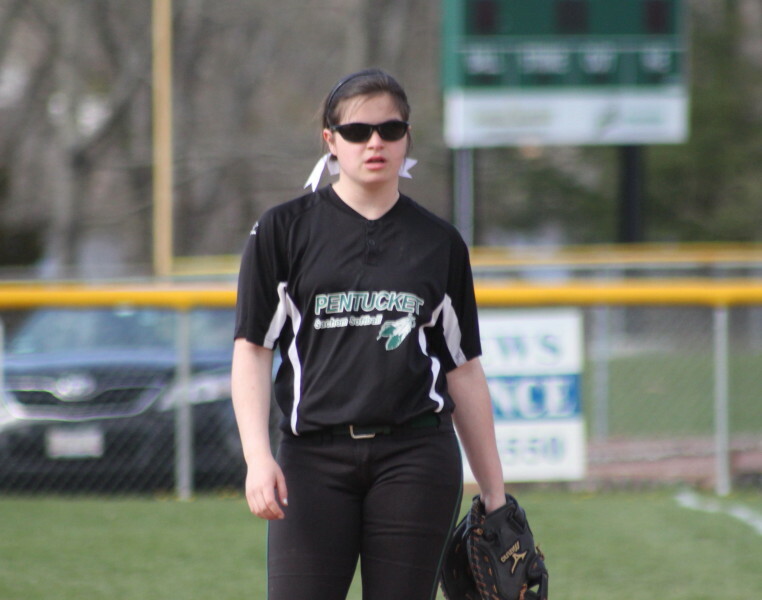 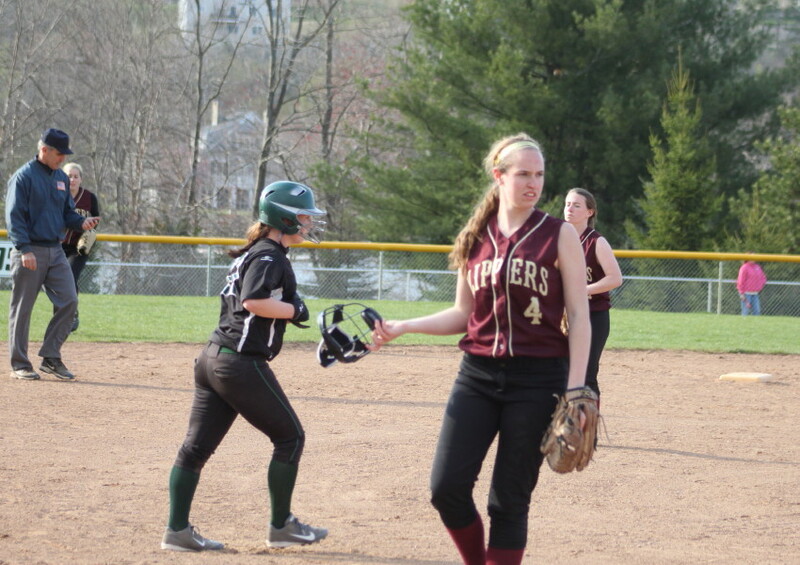 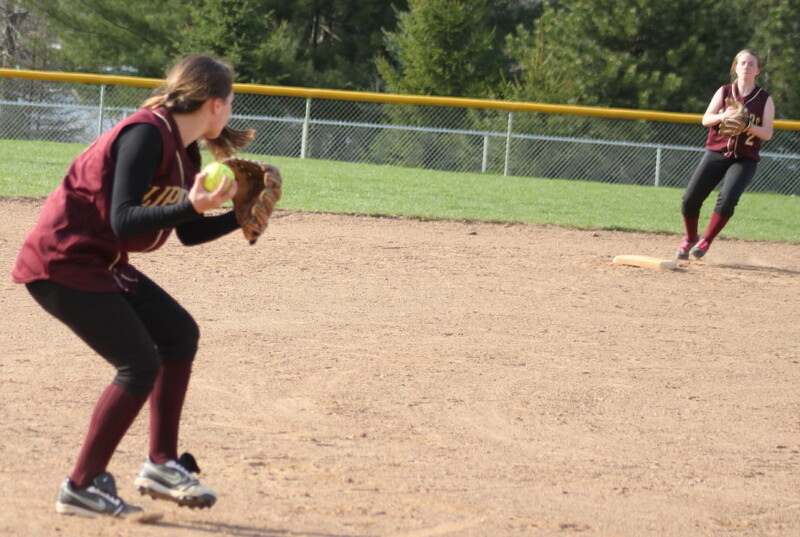 The Sachems picked up a run in the fourth inning. 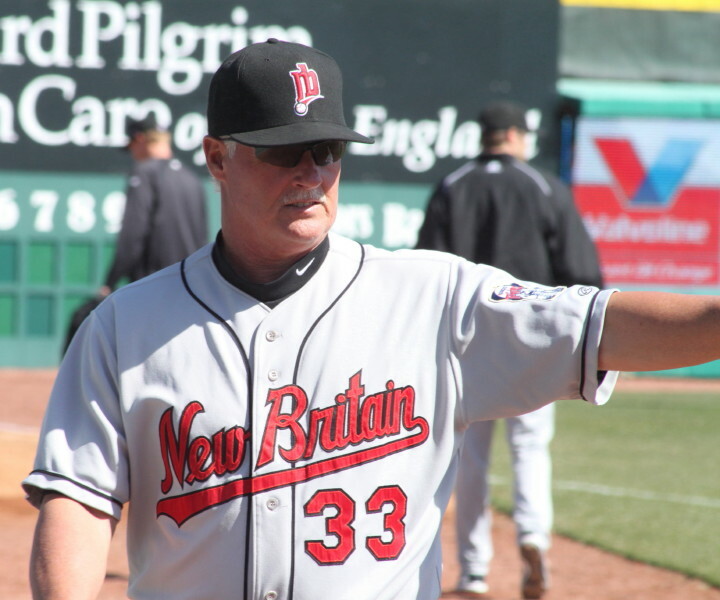 Tom Trainor singled past short to deliver Dante Deltorto. 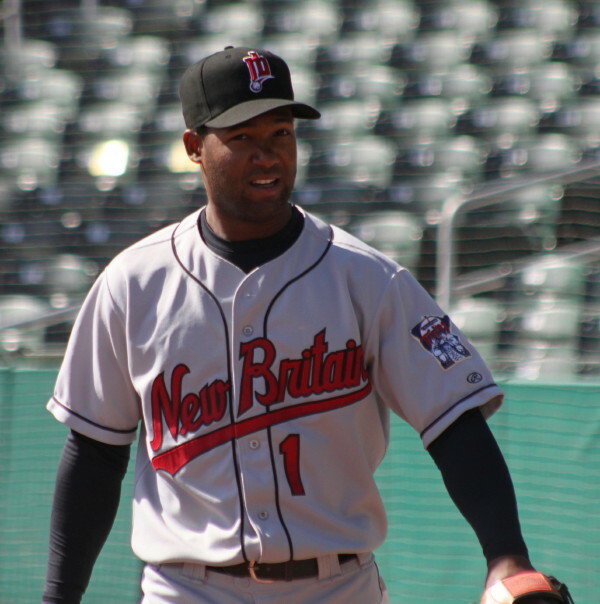 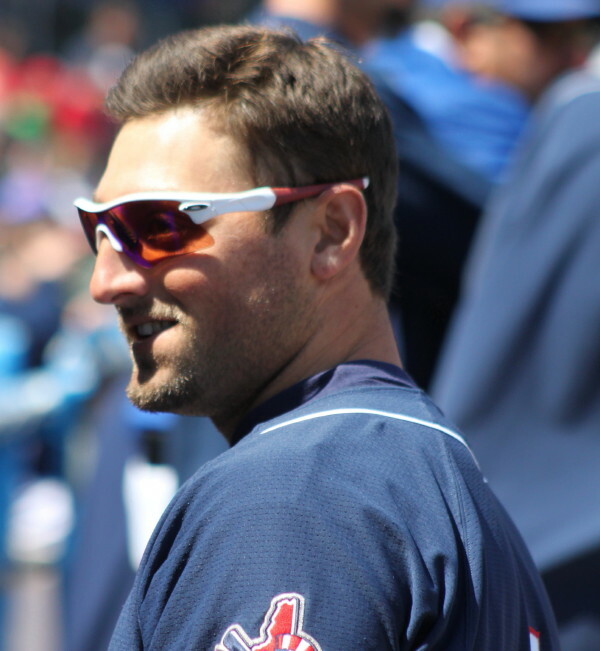 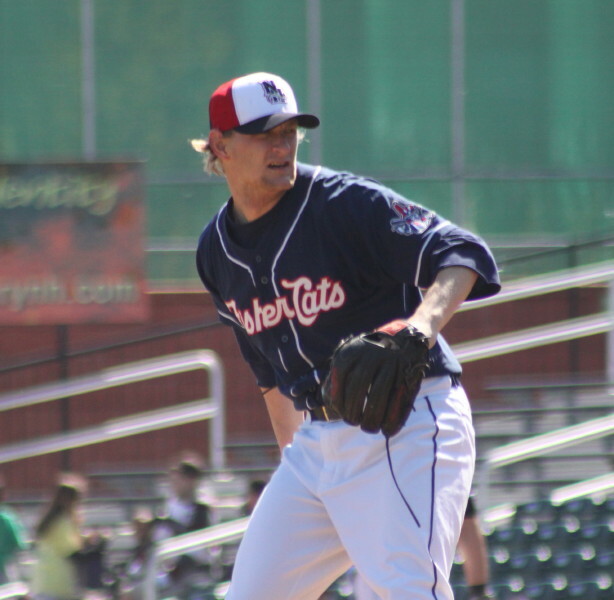 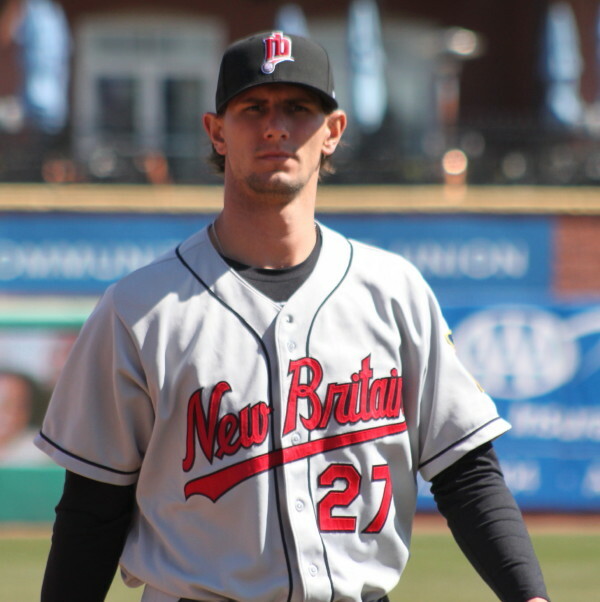 Dante Deltorto pitched innings 3-5 and limited the Clippers to one run and one hit. 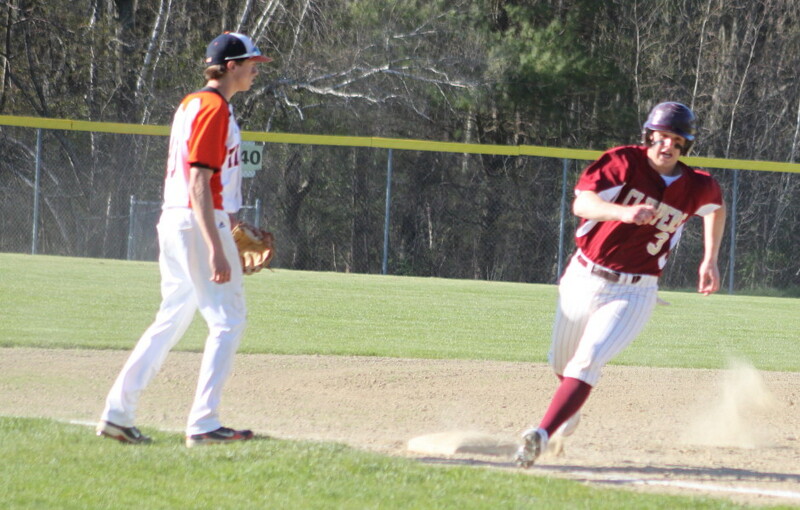 But even that run (#8) was tainted as Colton Fontaine (3 hits/3 runs) was able to score from second on a fielder’s choice. 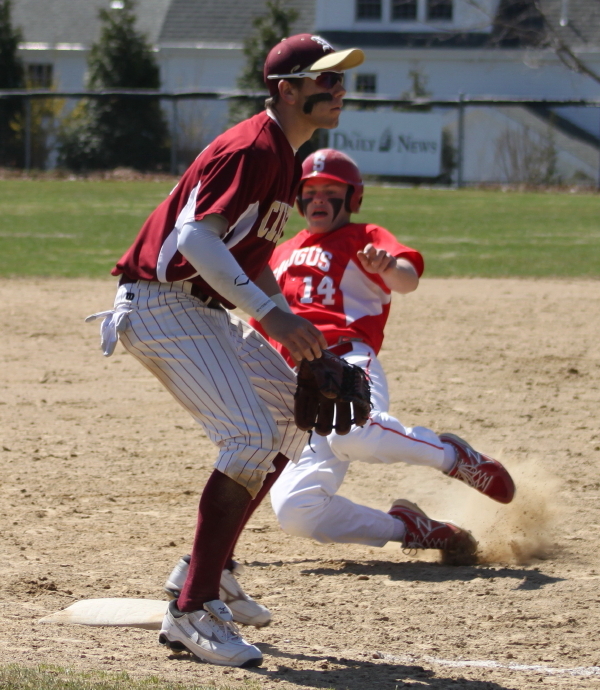 Give Colton credit for taking advantage of the Sachem defense. 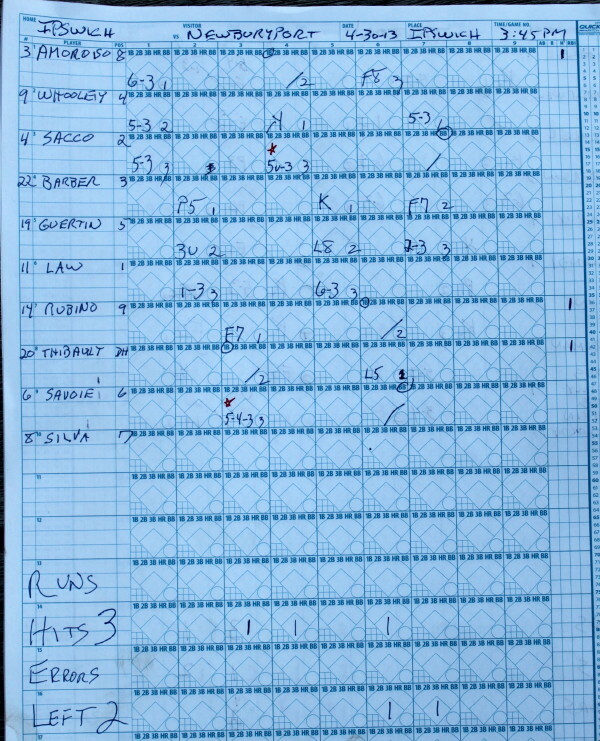 Saugus added two runs in the fifth to close to 8-3. 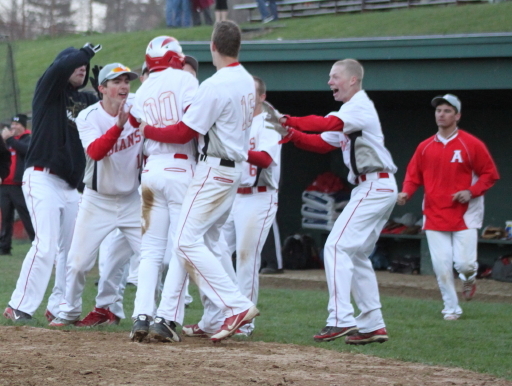 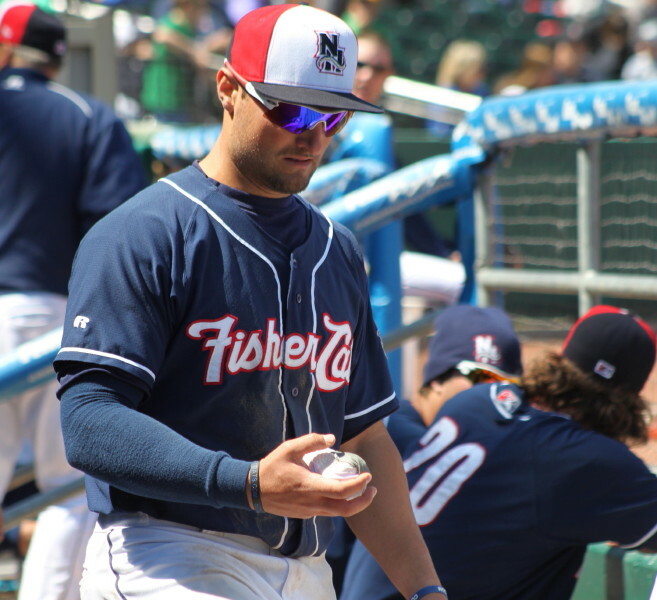 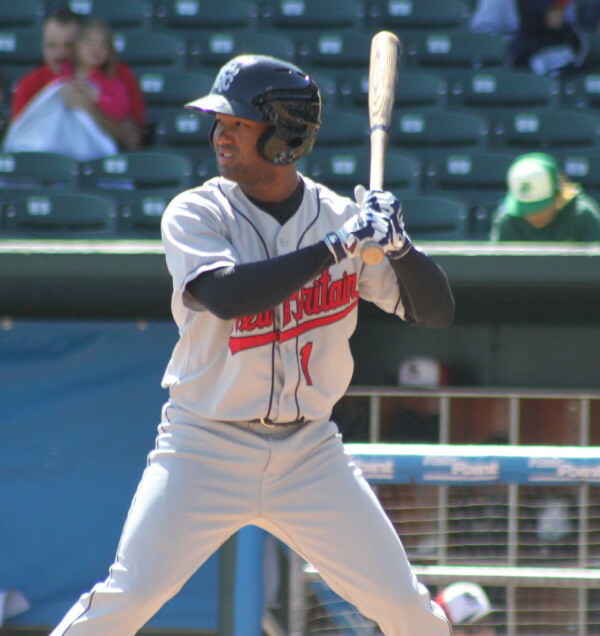 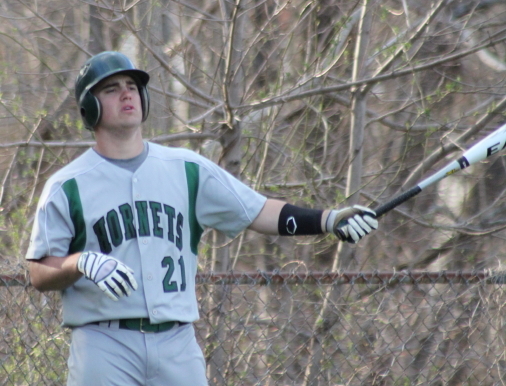 Victor Dematteo’s sacrifice fly brought Shane Ridley (2 hits/2runs) home. 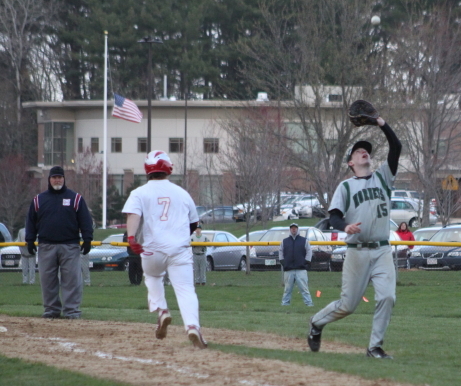 The throw home by rightfielder Ryan Short went past catcher Connor Wile out of play and another Sachems run (Peter Pulicari) was allowed home. 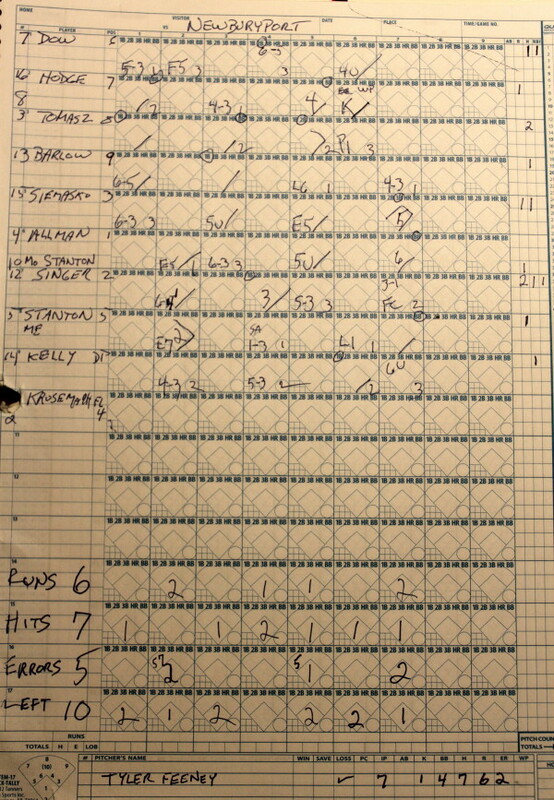 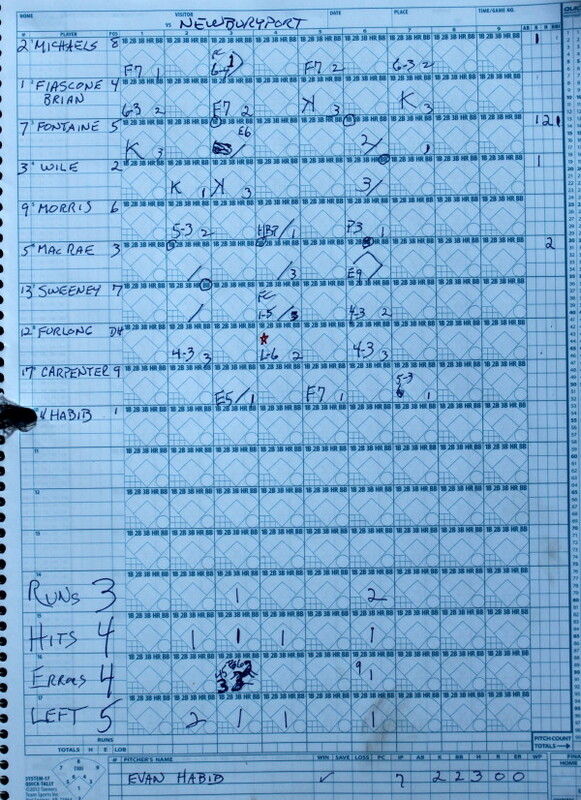 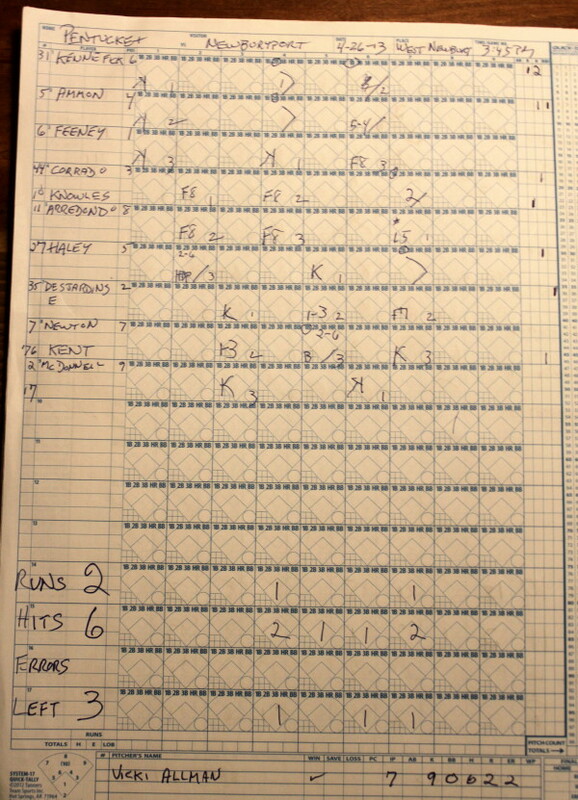 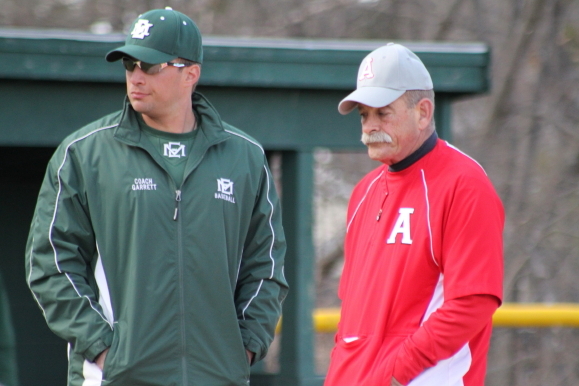 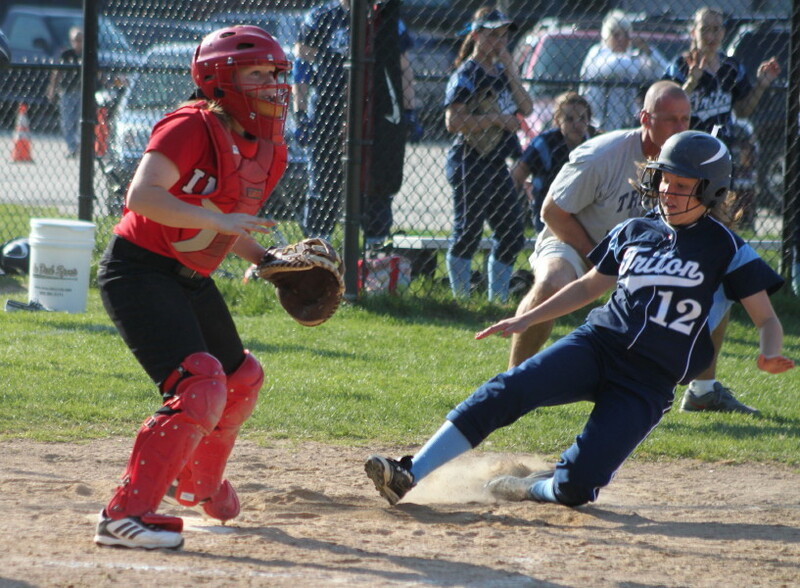 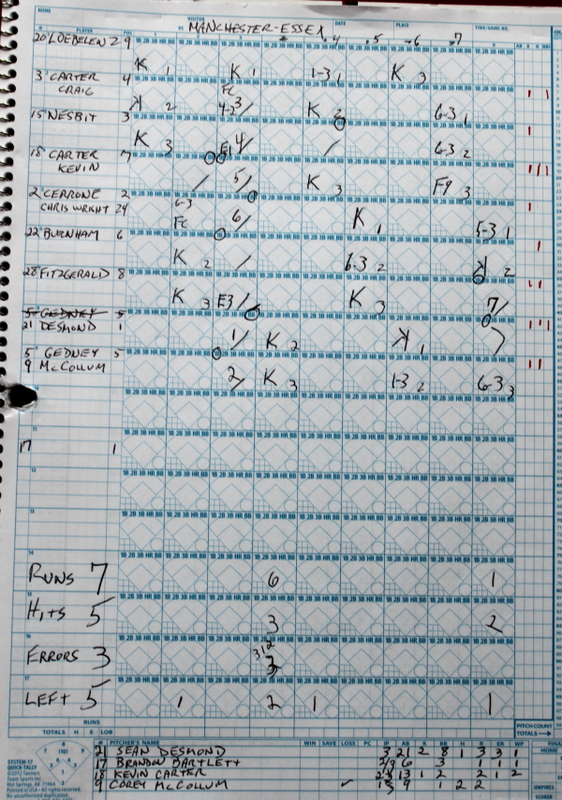 Two more Saugus tallies were recorded in the sixth inning. 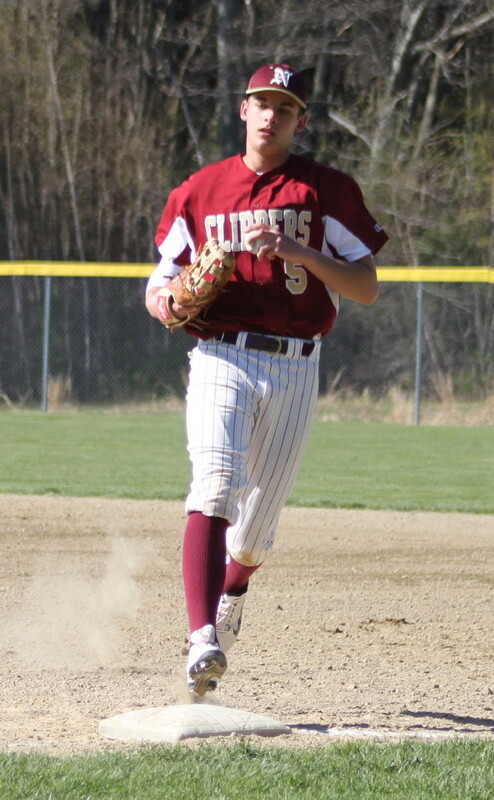 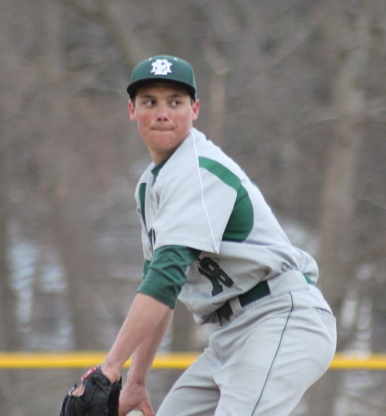 Newly entered shortstop Caleb Stott threw away a 2-out, bases-loaded grounder and the Sachems moved to within three (8-5). 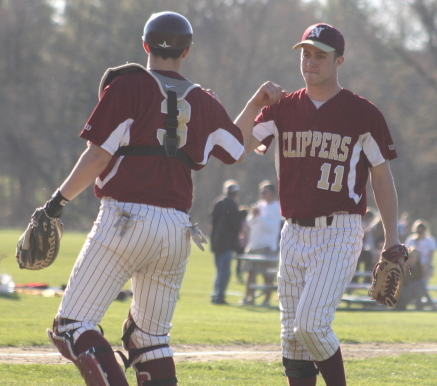 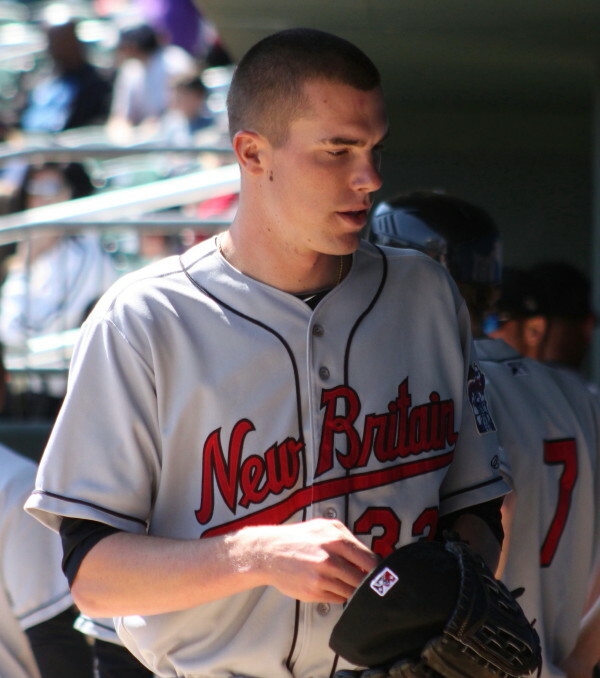 Shane Ridley pitched the Newburyport sixth. 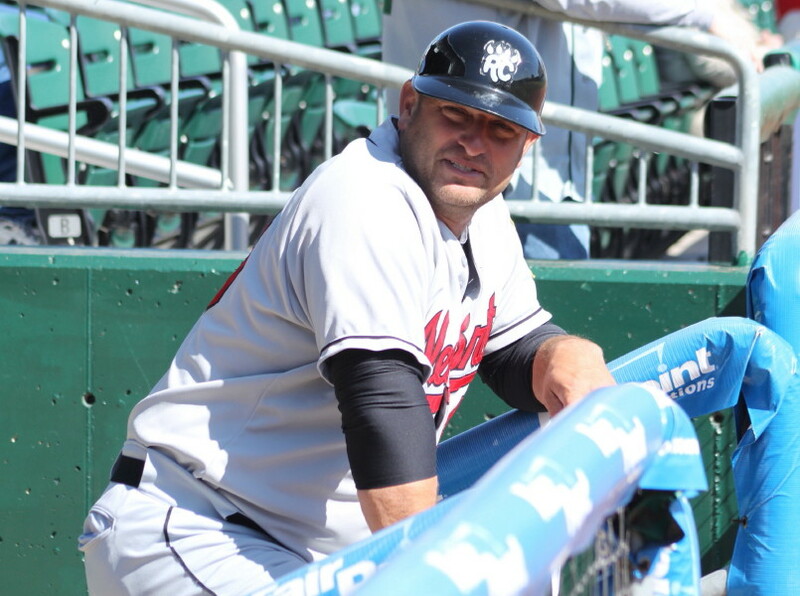 Ian Michaels was hit by a pitch leading off. 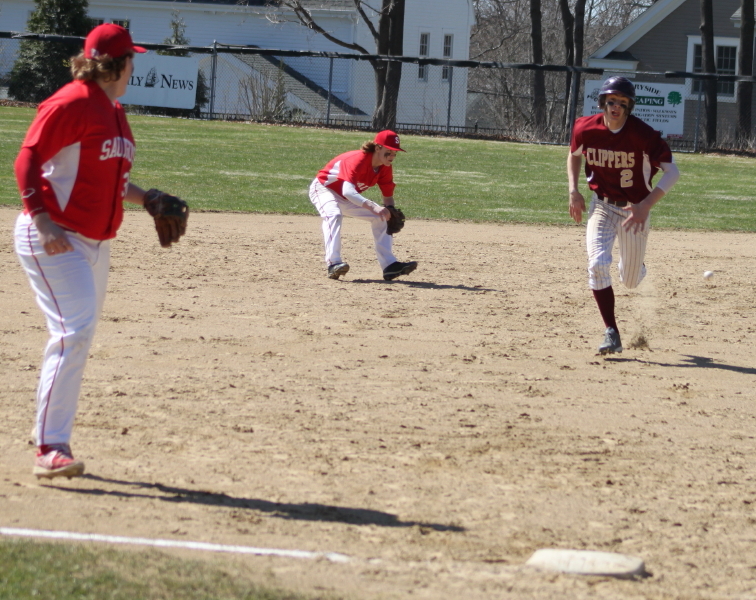 Ian broke for second drawing a throw from catcher Victor Dematteo that sailed into centerfield allowing Ian to get third. 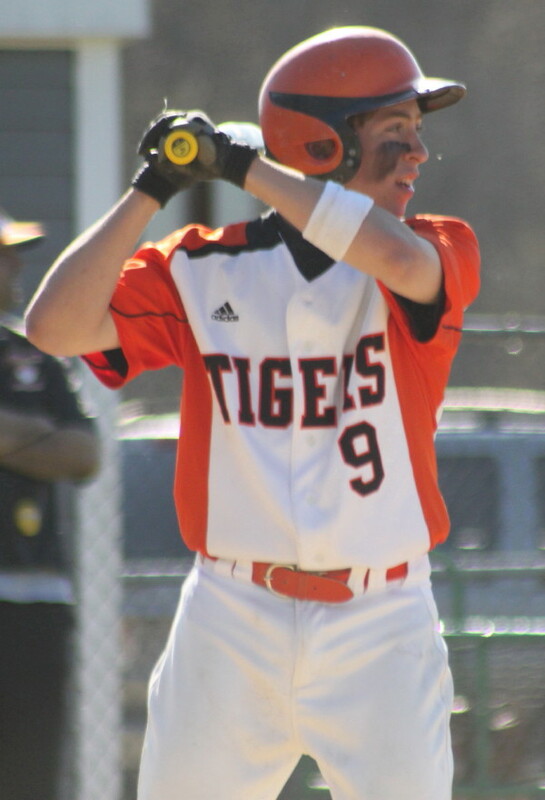 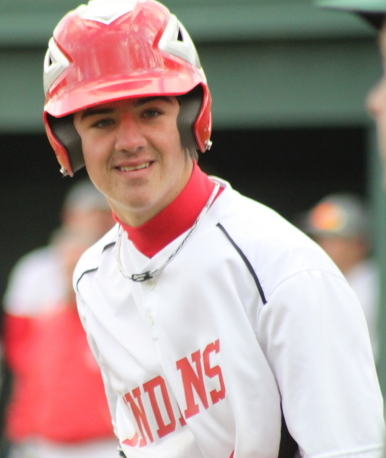 A Shane Ridley wild pitch enabled NHS to add an insurance run. 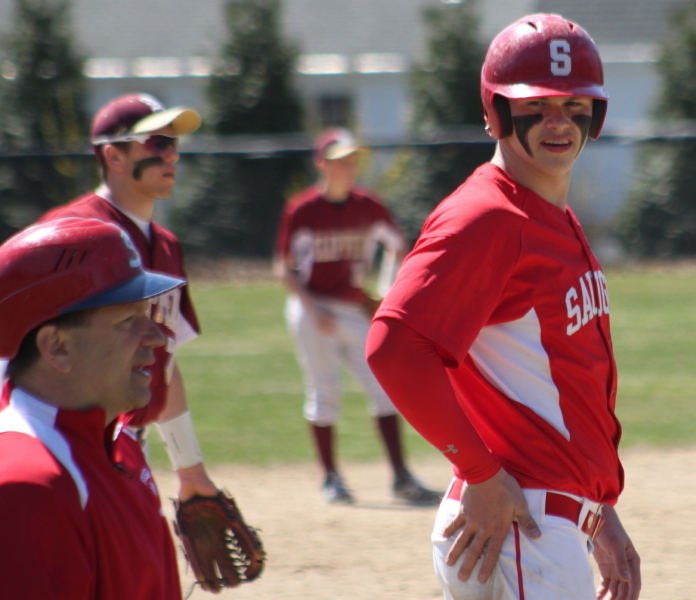 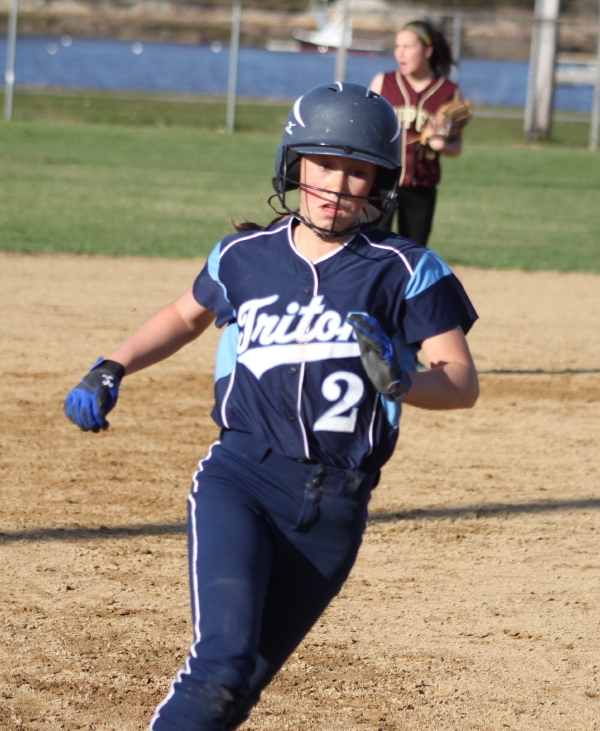 That four-run spread (9-5) looked tenuous in the Saugus seventh after the first two runners reached – one on a dropped throw by first baseman Travis Wile. 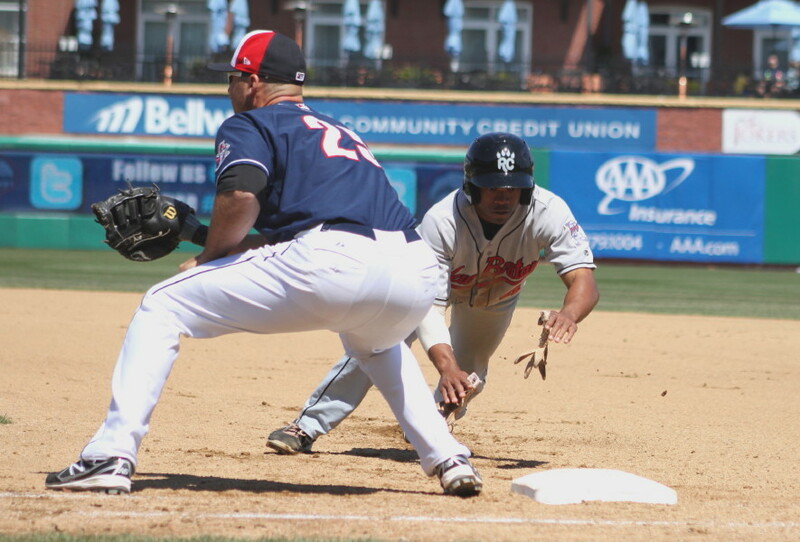 However, on the next ball in play Travis made a big defensive play. 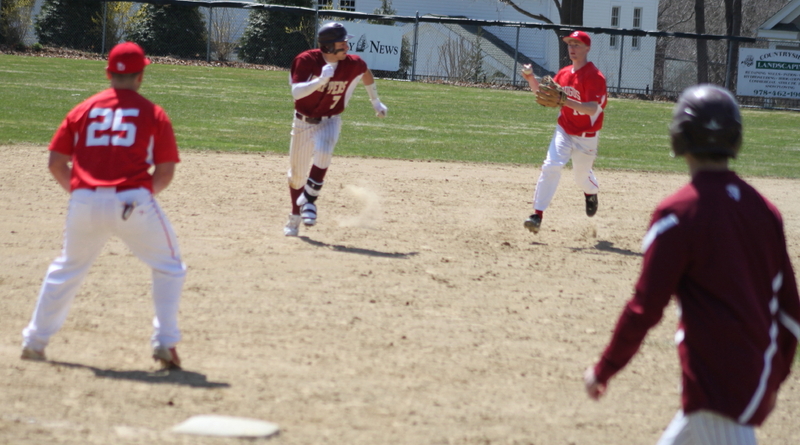 Third baseman Colton Fontaine fielded a grounder and tagged the runner (Dante Deltorto) going from second to third. 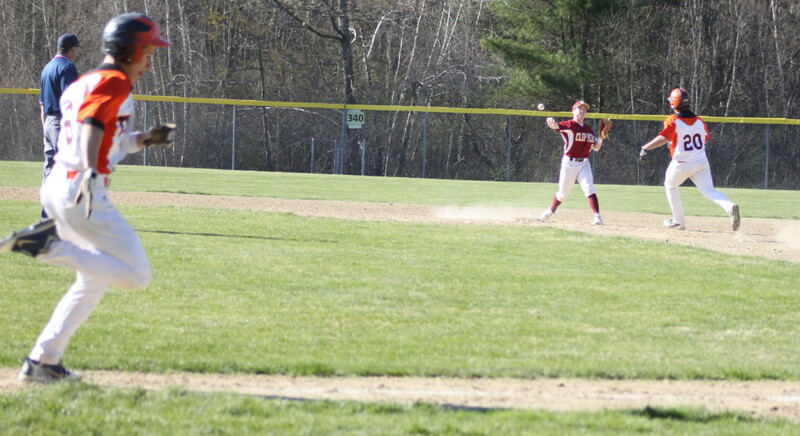 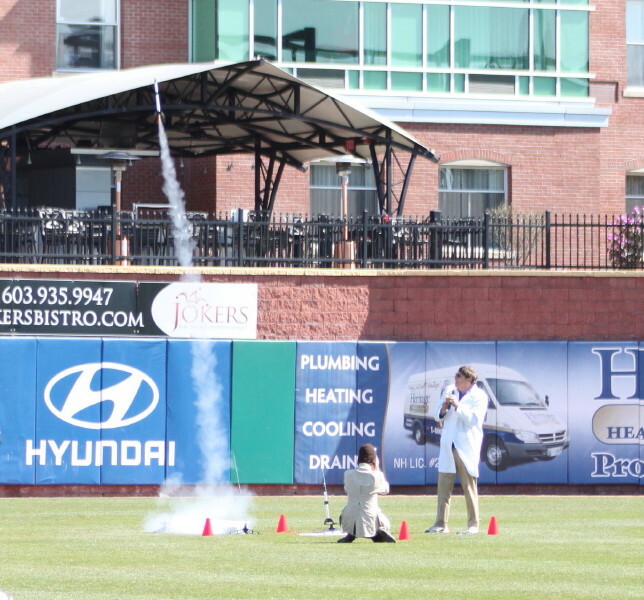 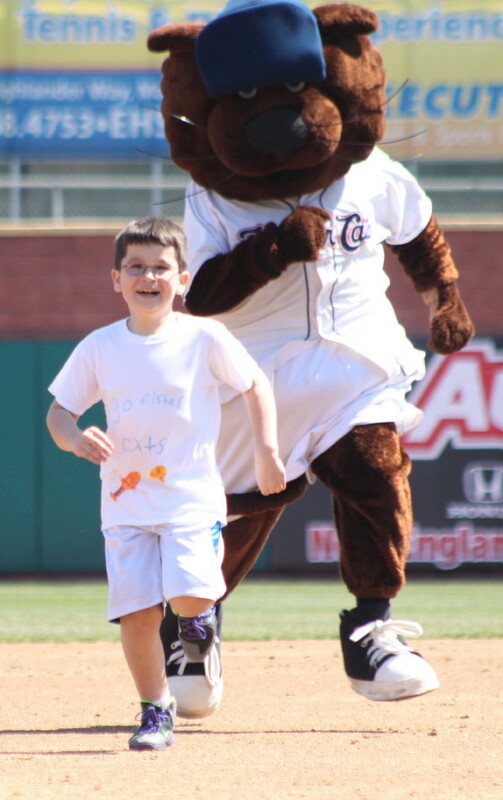 However, Colton decided to also try and throw the batter out and his throw was in the dirt. 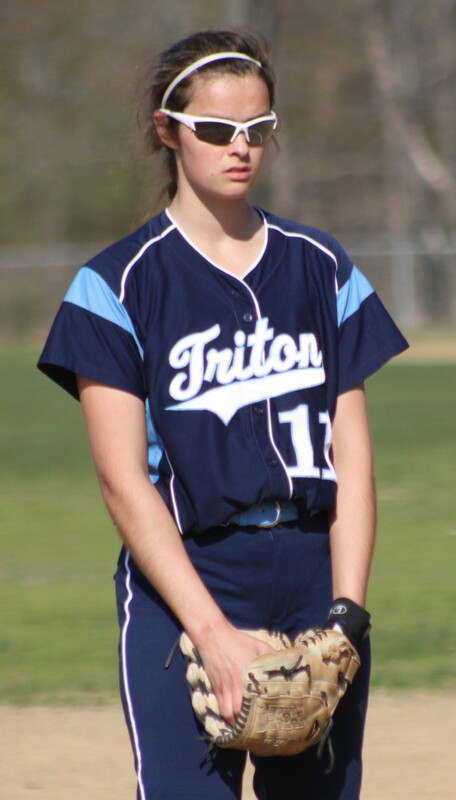 Travis made the block and prevented the ball from going out of play and giving Saugus another score. 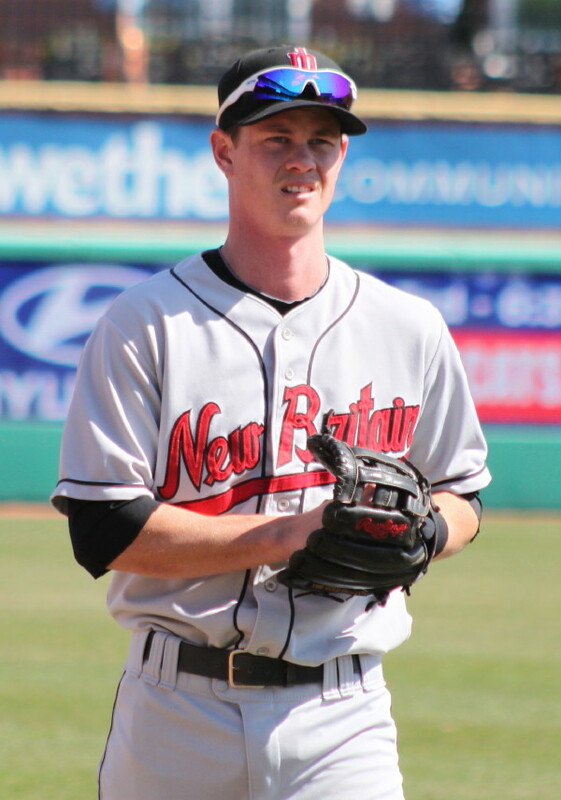 Pitcher Connor MacRae then struck out Tom Trainor and got Nick Sweeney to pop to first ending the game. 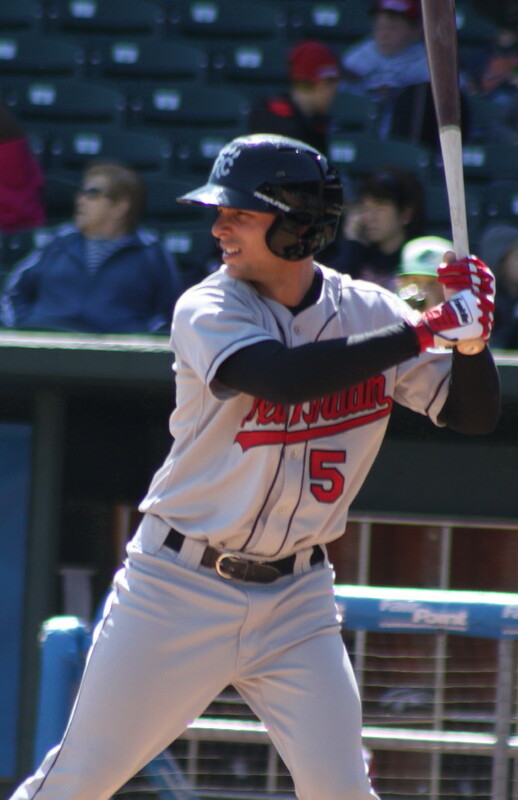 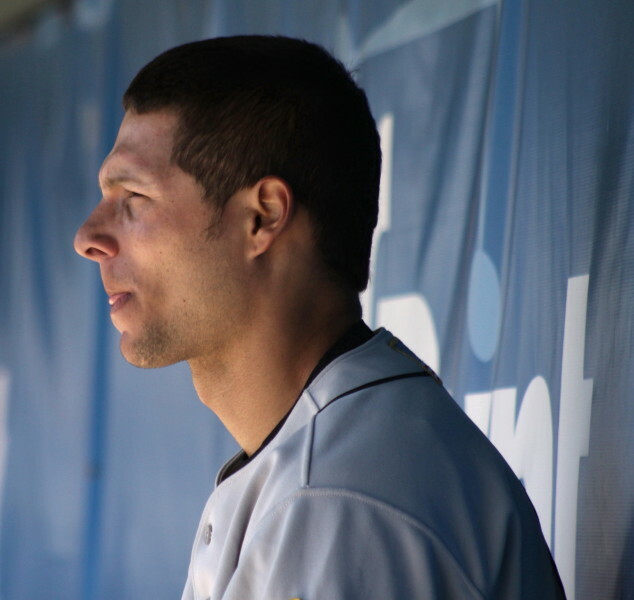 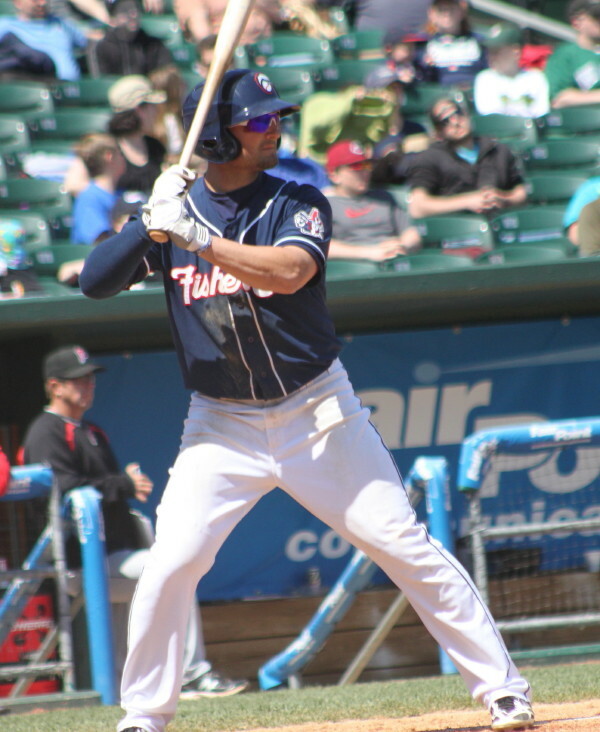 Ian Michaels had a hit and scored three runs. 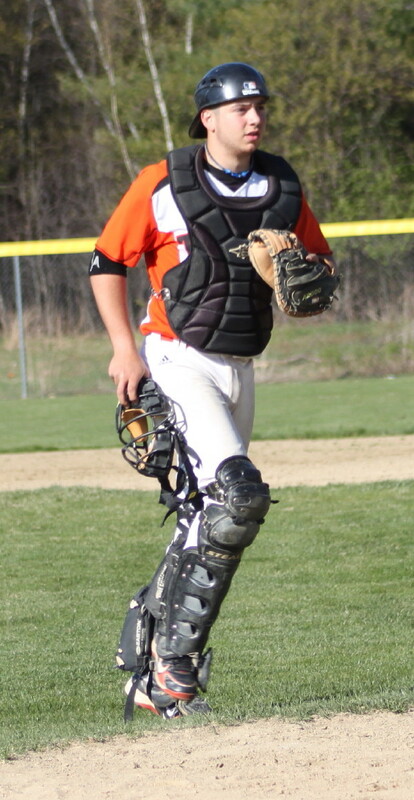 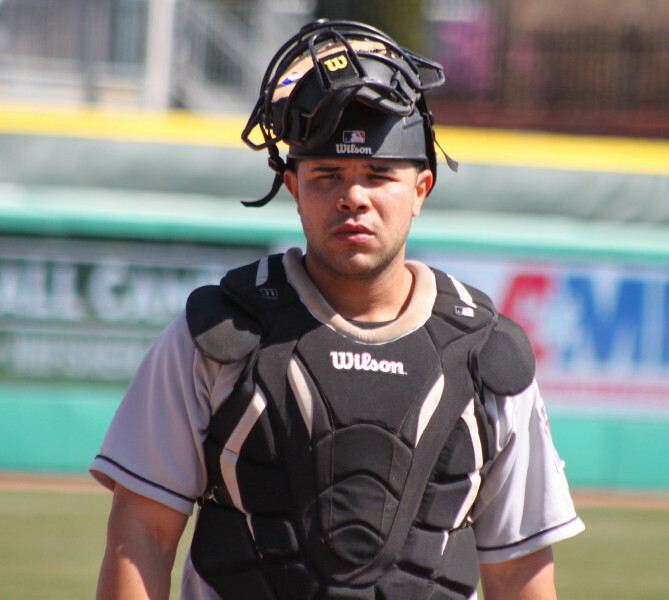 Catcher Connor Wile walked three times, had a hit, and scored two runs. 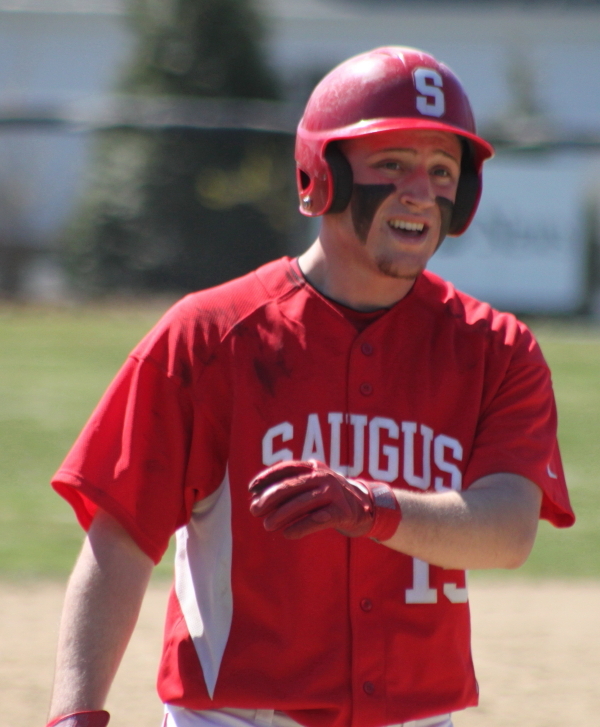 Dante Deltorto had two hits for Saugus and scored a run. 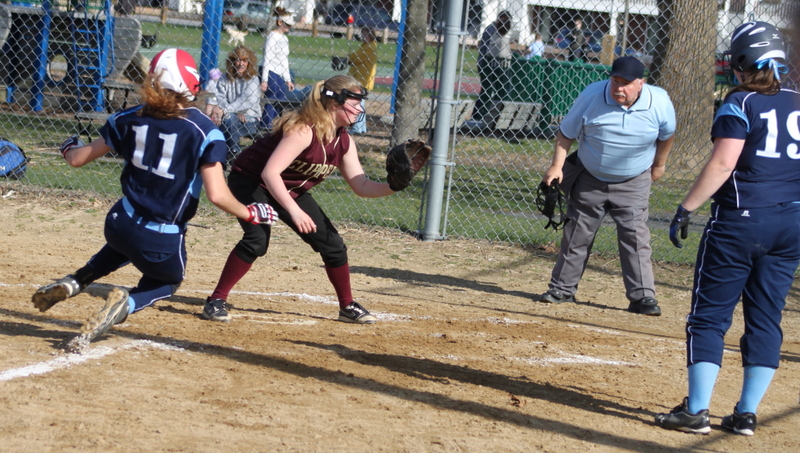 The weather was terrific for April – temps in the 60’s, with plenty of sun and a nice breeze. 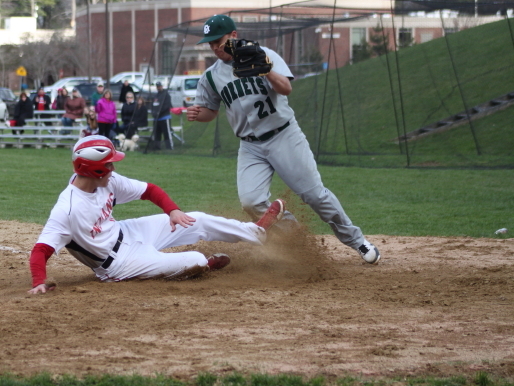 The next game for both teams will be on Saturday. 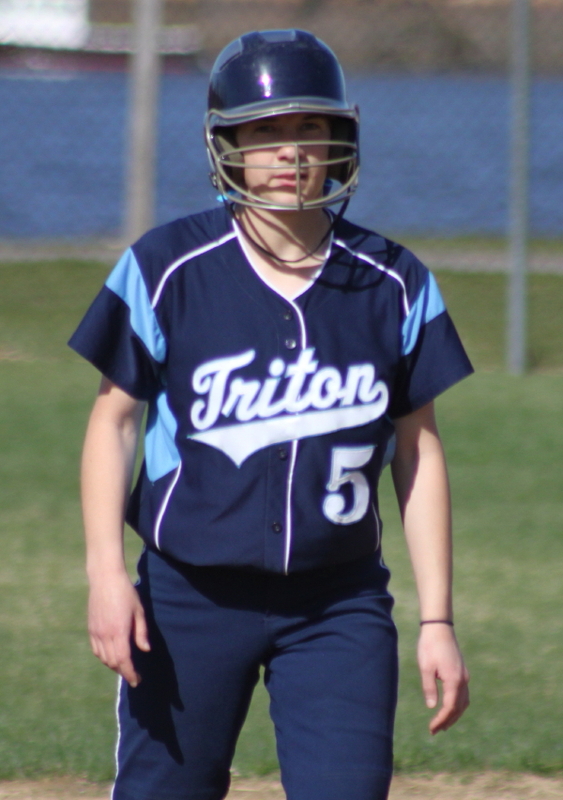 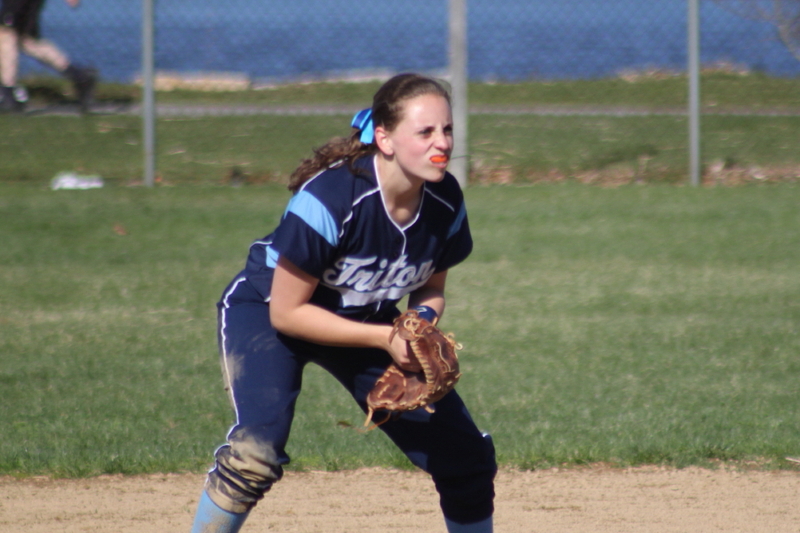 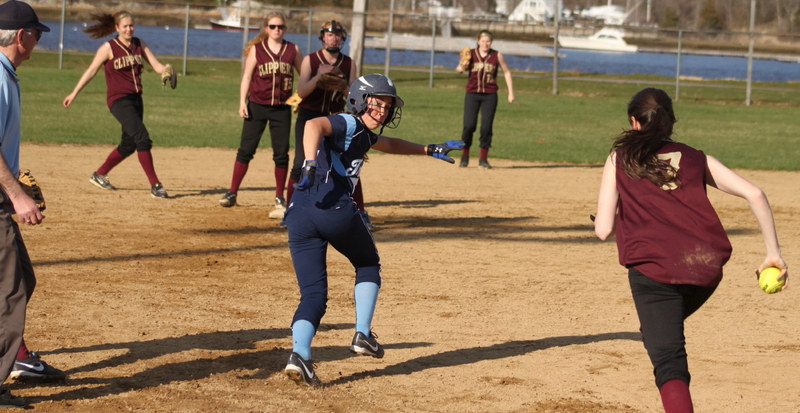 Saugus is at Swampscott (10AM) while Ipswich will host Triton (10AM). 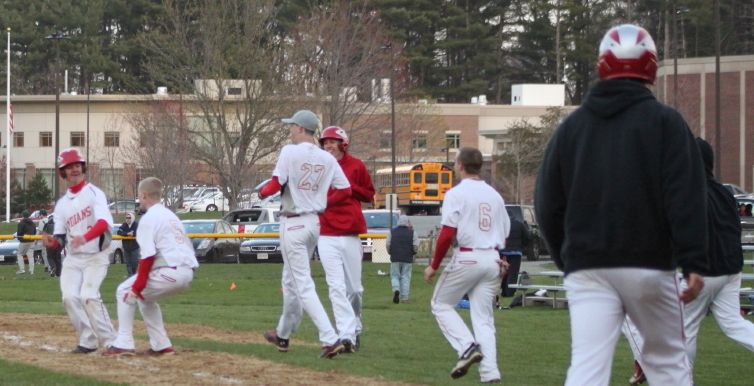 Saugus will be completely in the Cape Ann League next year. 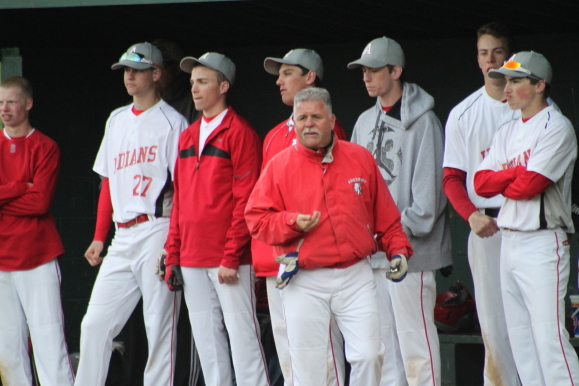 Saugus in 2011-12 had enough wins in the Northeastern Conference to qualify for the Division 3 state baseball tournament. 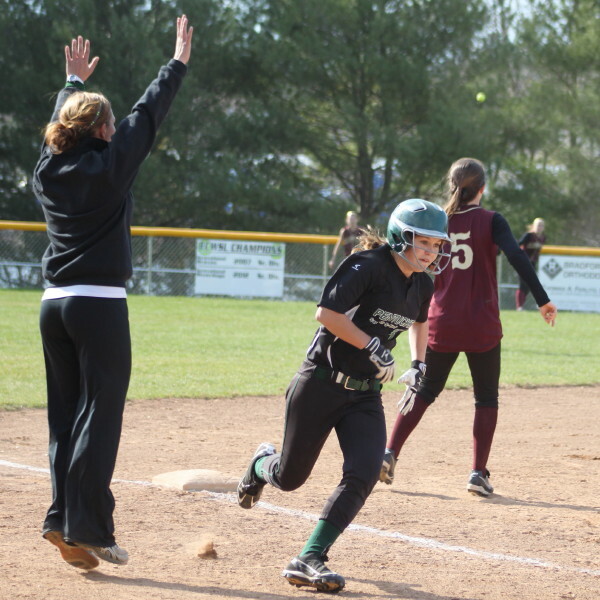 They reached the D3 North semifinals where they lost to eventual state champ North Reading. 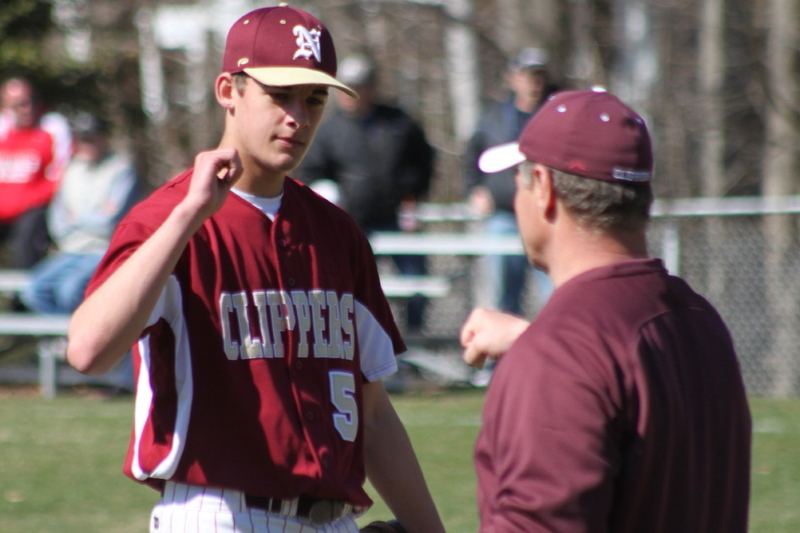 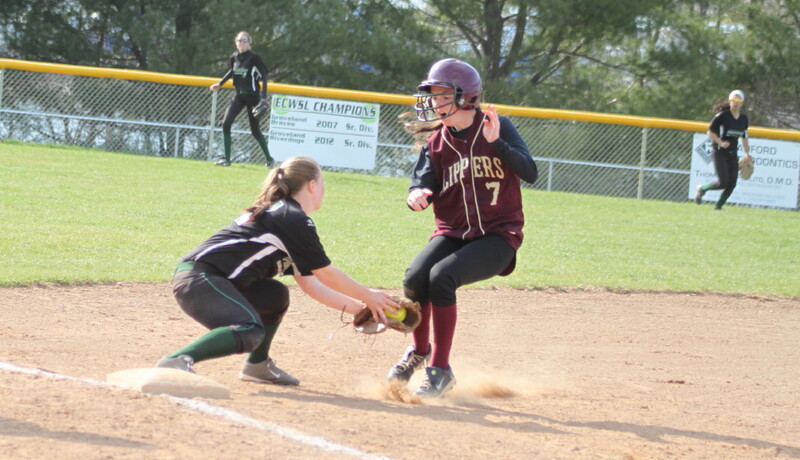 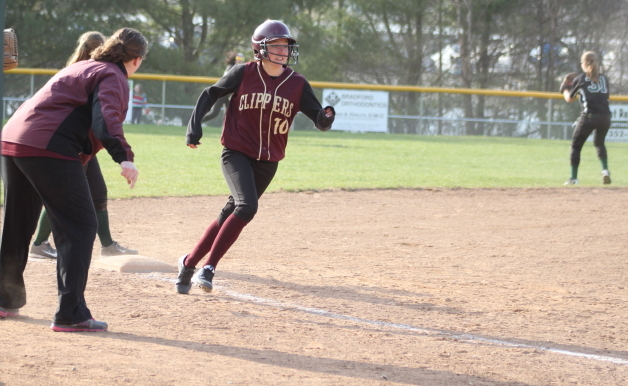 Newburyport was 15-6 last season.